Industrial Ball Mills use horizontal rotating cylinders that contain the grinding media and the particles to be broken. The mass moves up the wall of the cylinder as it rotates and falls back into the “toe” of the mill when the force of gravity exceeds friction and centrifugal forces. Particles are broken in the toe of the mill when caught in the collisions between the grinding media themselves and the grinding media and the mill wall. In ball mills the grinding media and particles acquire potential energy that becomes kinetic energy as the mass falls from the rotating shell. 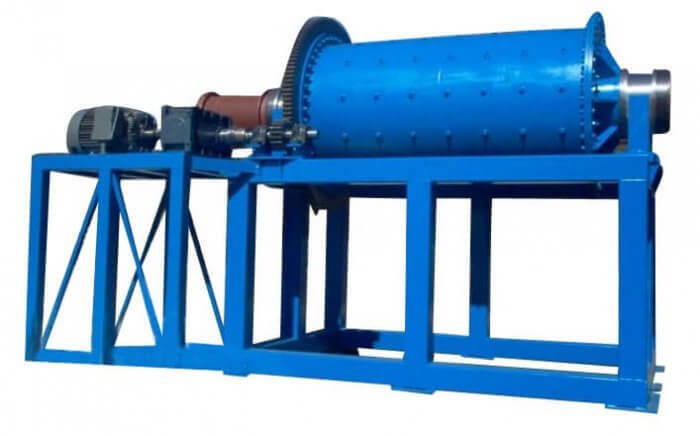 Ball mills are customarily divided into categories that are mainly defined by the size of the feed particles and the type of grinding media. 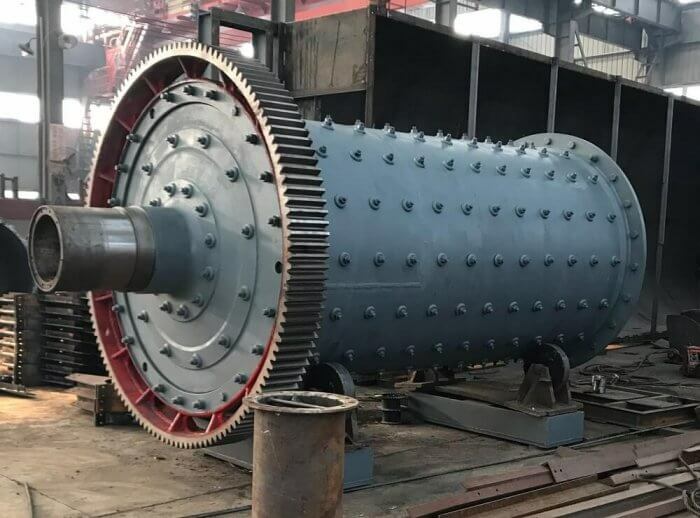 Intermediate and fine size reduction by grinding is frequently achieved in a ball mill in which the length of the cylindrical shell is usually 1 to 1.5 times the shell diameter. Ball mills of greater length are termed “tube mills,” and when hard pebbles rather than steel balls are used for the grinding media, the mills are known as “pebble mills.’’ In general, ball mills can be operated either wet or dry and are capable of producing products on the order of 100 um. This duty represents reduction ratios as great as 100. 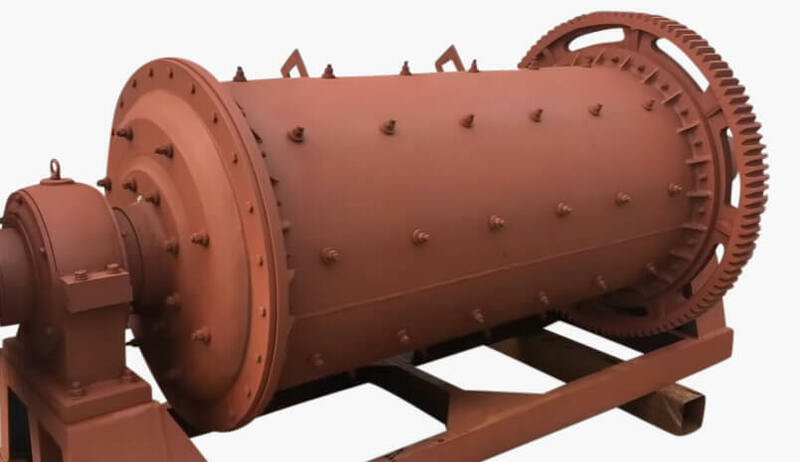 The ball mill, an intermediate and fine-grinding device, is a tumbling drum with a 40% to 50% filling of balls. The material that is to be ground fills the voids between the balls. The tumbling balls capture the particles in ball/ball or ball/liner events and load them to the point of fracture. 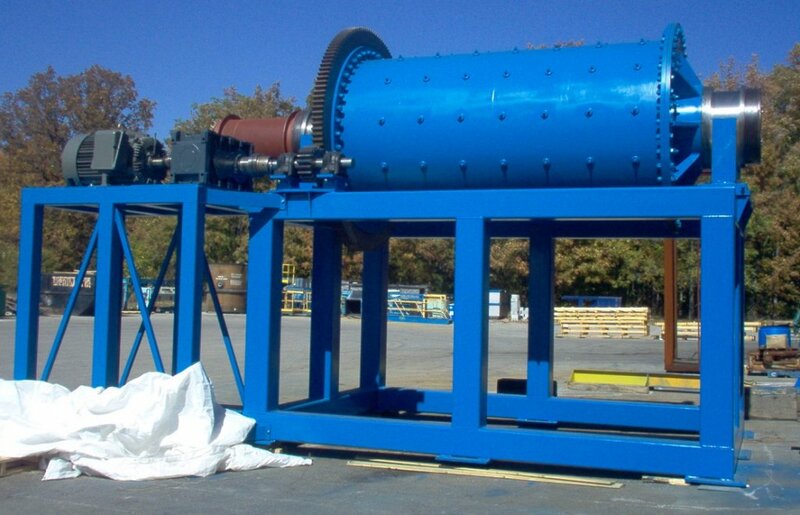 Very large tonnages can be ground with these devices because they are very effective material handling devices. 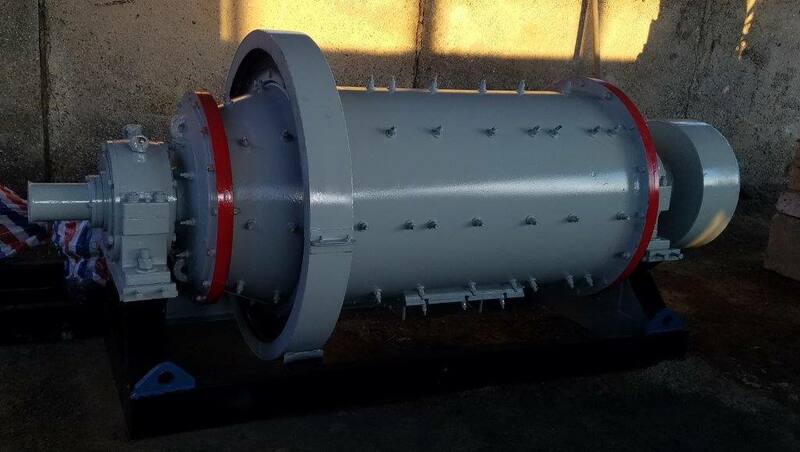 The feed can be dry, with less than 3% moisture to minimize ball coating, or a slurry can be used containing 20% to 40% water by weight. 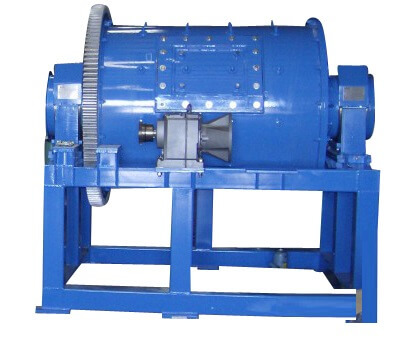 Ball mills are employed in either primary or secondary grinding applications. In primary applications, they receive their feed from crushers, and in secondary applications, they receive their feed from rod mills, autogenous mills, or semi-autogenous mills. Regrind mills in mineral processing operations are usually ball mills, because the feed for these applications is typically quite fine. 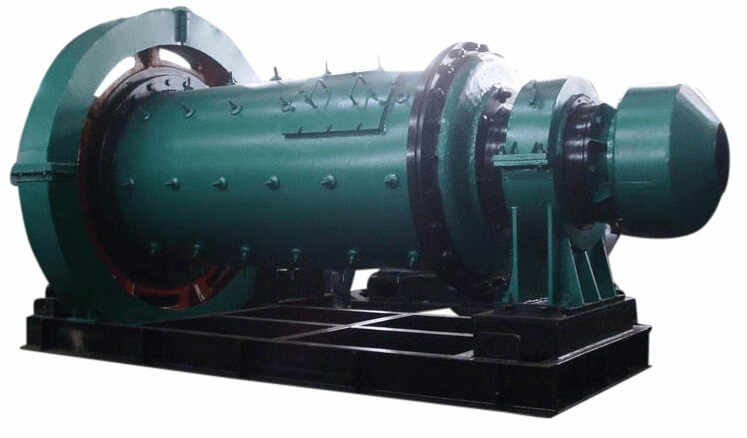 Ball mills are sometimes used in single-stage grinding, receiving crusher product. 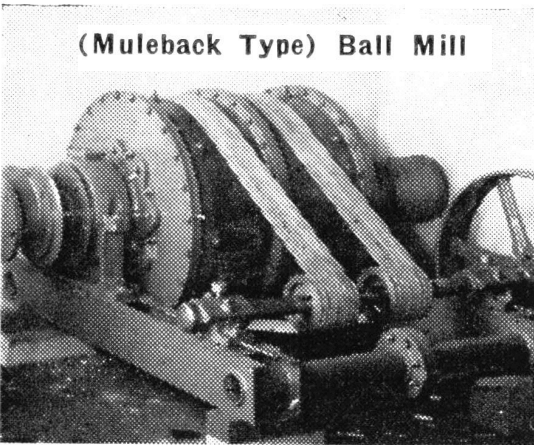 The circuits of these mills are often closed with classifiers at high-circulating loads. 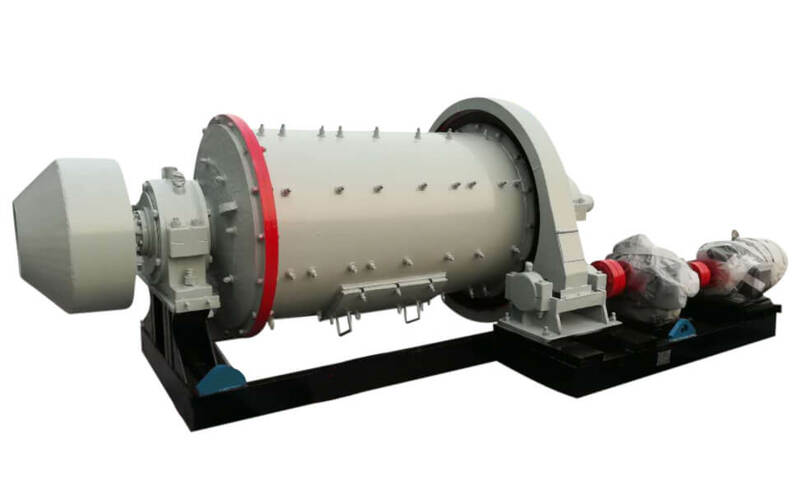 Ball Mill capacity is based on mill diameter inside the mill liners. 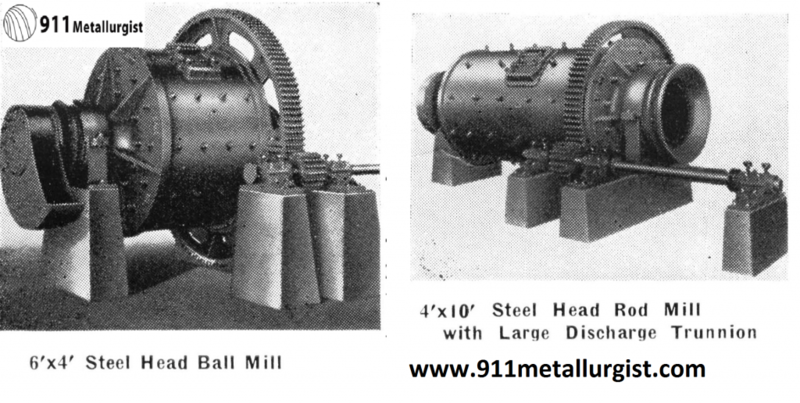 All ball mills operate on the same principles. 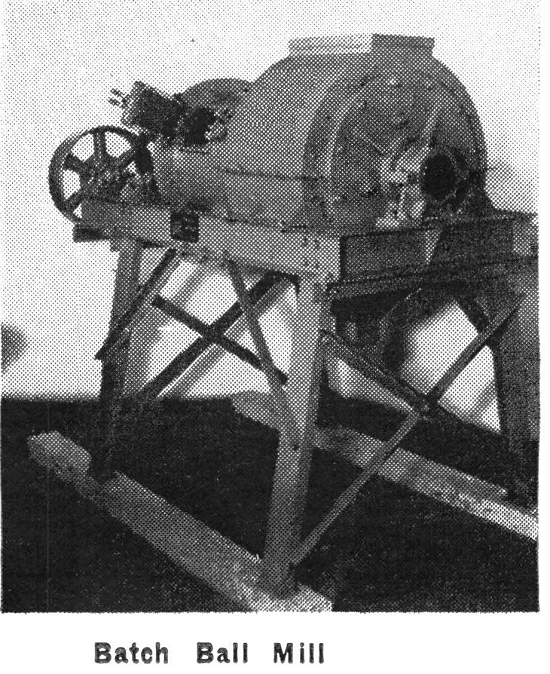 One of these principle is that the total weight of the charge in the mill-the sum of the weight of the grinding media, the weight of the material to be ground, and any water in the mill—is a function of the percentage of the volume of the mill it occupies. 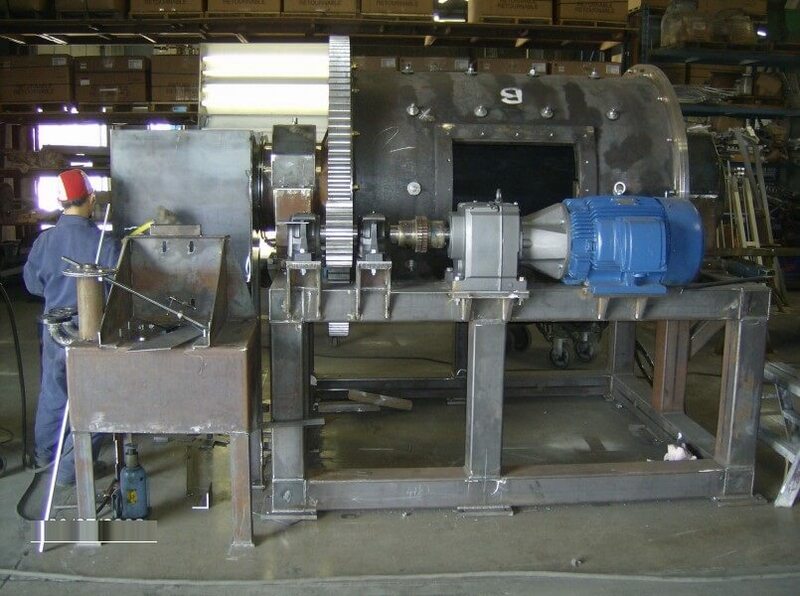 The power the mill draws is a function of the weight of the charge in the mill, the % of volumetric loading of the mill, the % of critical speed, which is the speed in RPM at which the outer layer of the charge in the mill will centrifuge. 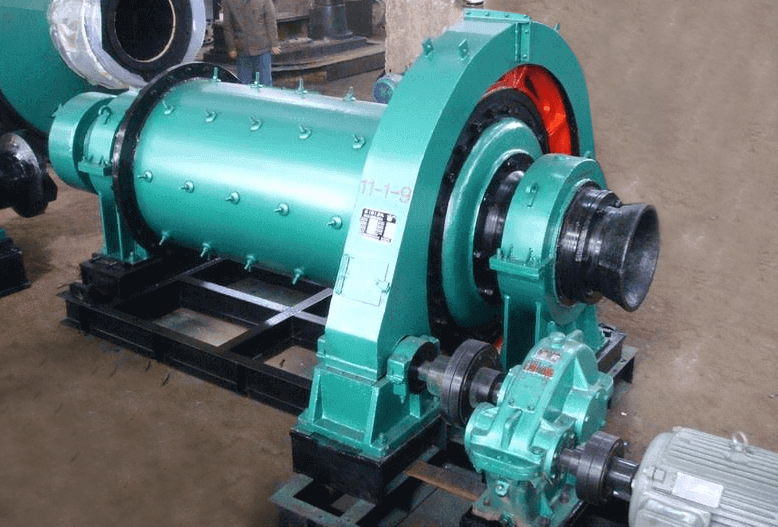 Fo all ball mills, the length of the lever arm from the center of the mill drum to the center of gravity of the charge and the angle above horizontal at which the tumbling of the charge starts. 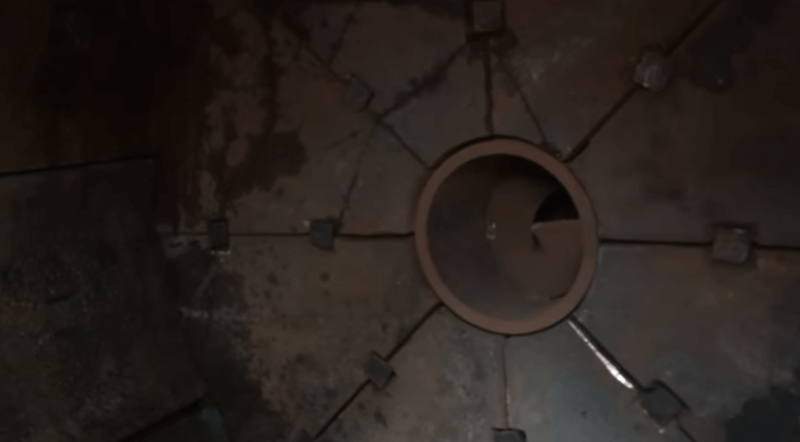 All the elements of the rotating drum go through a complete stress cycle from compression to tension and back to compression during each rotation of the mill. 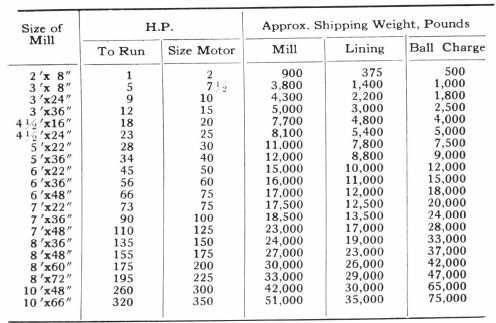 Footprint of a 1 Ton/hour mill. 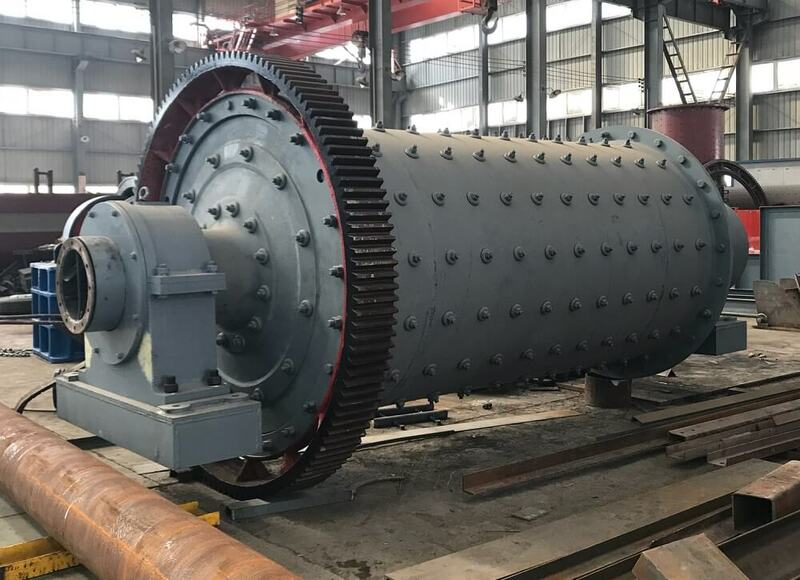 For closed grinding circuits producing typical ball mill products, indirect and direct on-line measurements of the product size are available. 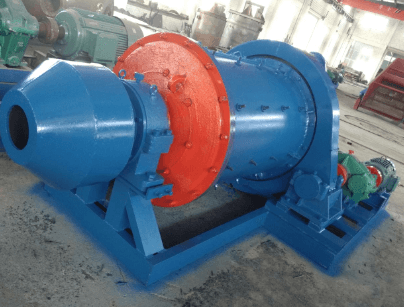 The indirect means are those which assume that the product size is relatively constant when the feed condition to the classifying unit and the operating conditions in the classifying unit are constant. 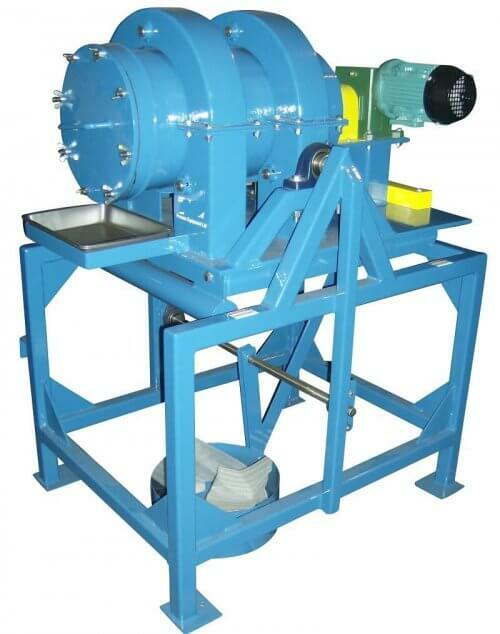 One example is maintaining a constant mass flow, pulp density and pressure in the feed to the cyclone classifier. 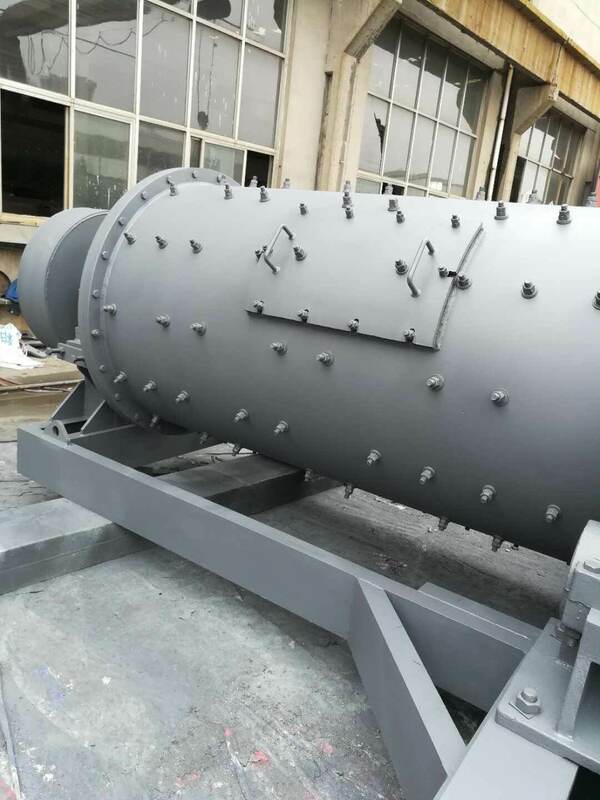 By using math modeling, it is possible to calculate the product size from measured cyclone classifier feed conditions and circuit operating data, thus establishing the effect on the particle size distribution in the product for changes in the variables. Regulate and control classifying unit feed conditions, which in turn can control the entire circuit. As feed forward data for control of following processing stages. 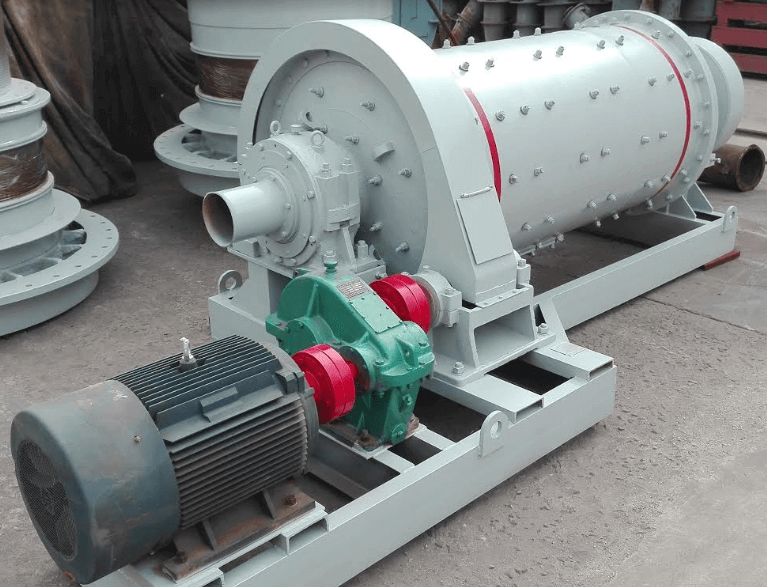 Small variations in the feed size to ball mill circuits generally is not critical to the calculation of operating work index because they make a very small change in the 10 ÷ √F factor. 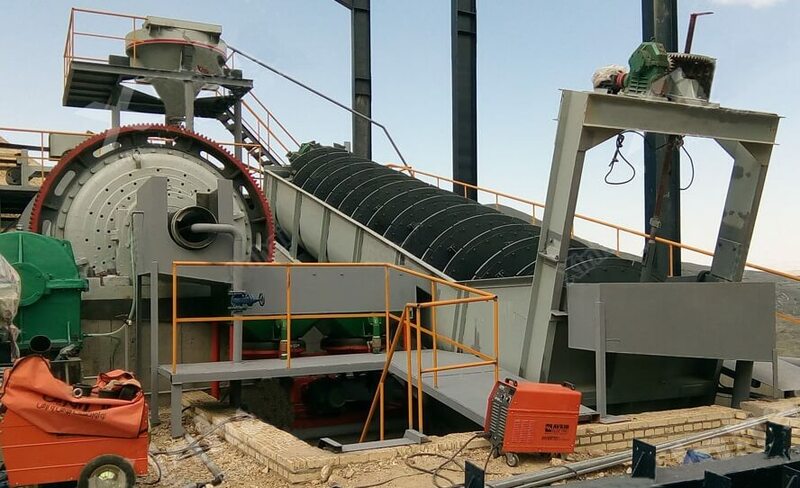 Thus, a computer program can be developed to calculate operating work indices from on-line data with the feed size a constant and with the program designed to permit manually changing this value, as required to take into account changes in feed size resulting from such things as drawing down feed bins, crusher maintenance, work screen surfaces in the crushing plant, etc. which are generally known in advance, or can be established quickly. 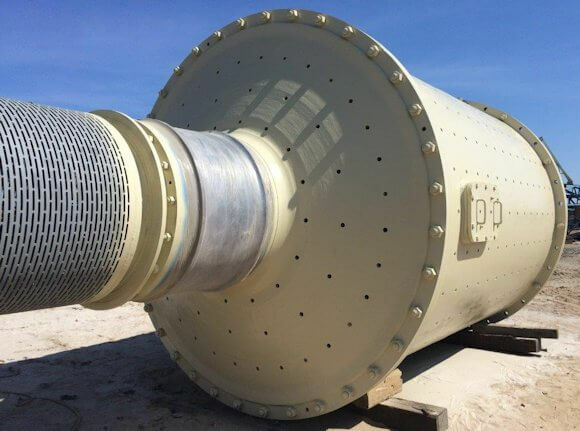 Developments underway for on-line measurement of particle size in coarser material which when completed will permit measuring the feed size used to calculate operating work indices. 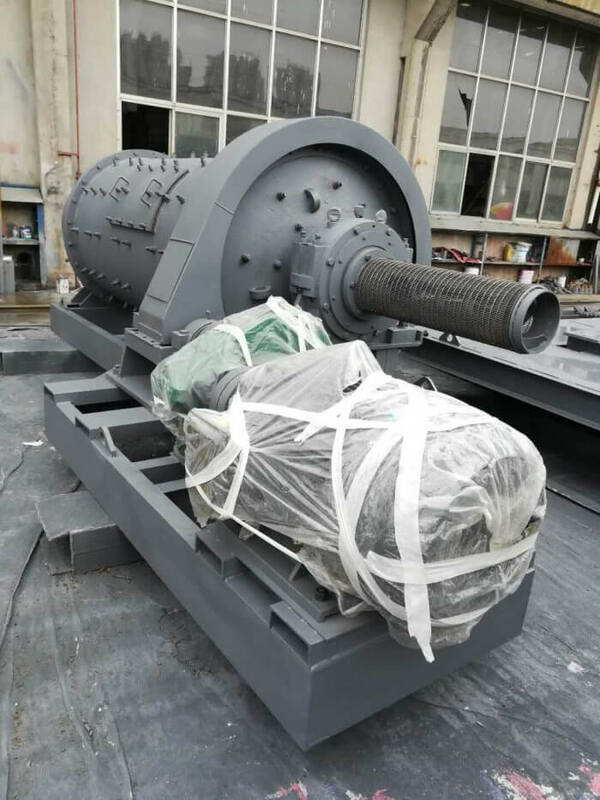 Because it is such a small number 10 ÷ √F can be dropped from the operating work index calculations for primary autogenous and semi-autogenous mills. recorded by a data logger, gives continuous means to report comminution circuit performance and evaluate in-plant testing. Changes in Wio indicated on data loggers alert operating and supervisory personnel that a change has occurred in either the ore or in circuit performance. If sufficient instrumentation is available, the cause for a problem can often be located from other recorded or logged data covering circuit and equipment operation, however, generally the problem calls for operator attention to be corrected. 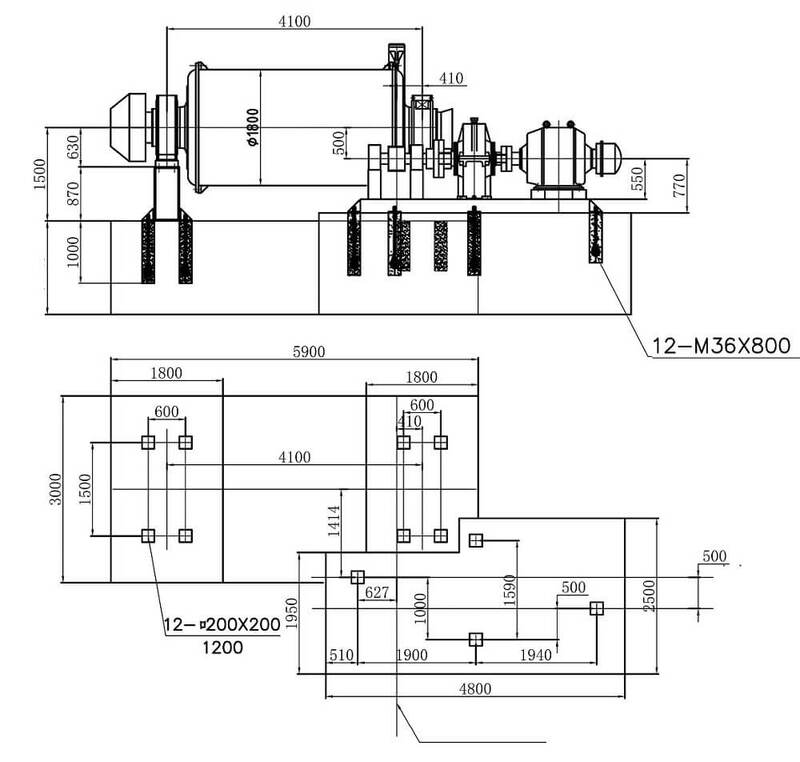 Wio can be used to determine the efficiency of power utilization for the entire comminution section of a mill, and for the individual circuits making up the comminution section. The efficiency of a comminution circuit is determined by the following equation. Wi is obtained by running the appropriate laboratory tests on a composite sample of circuit feed. Wio is calculated from plant operating data covering the period when the feed sample was taken. Since Wi from laboratory tests refers to specific conditions for accurate efficiency determinations, it is necessary to apply correction factors as discussed in “The Tools of Power Power” to Wio to put the laboratory and operating data on the same basis. To-date, there is no known way to obtain standard work index data from on-line tests. 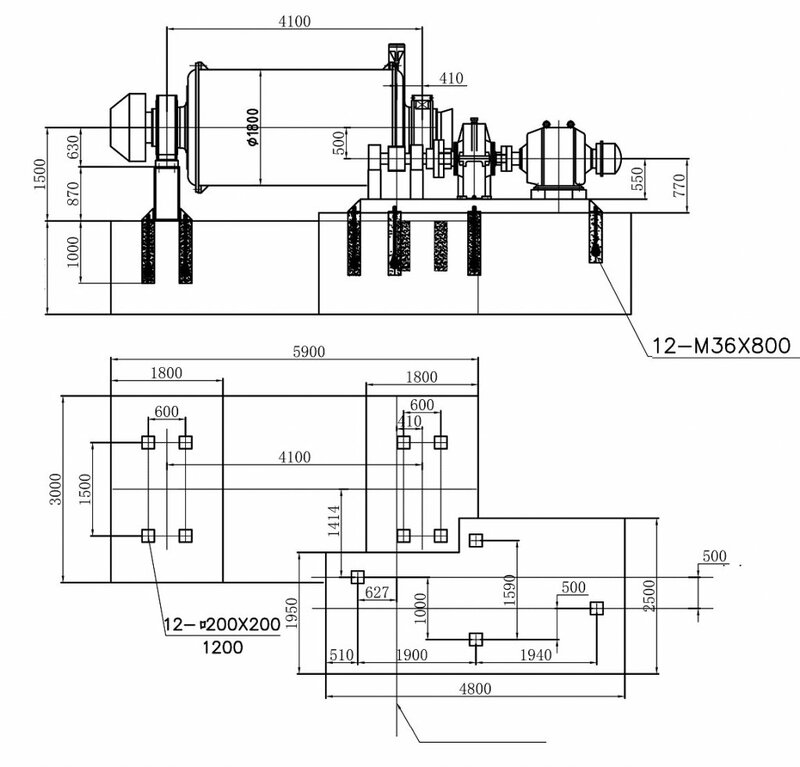 Continuous measurement of comminution circuit efficiency is not possible and thus efficiency is not available for circuit control. Using laboratory data and operating data, efficiency can be determined for overall section and individual circuit for evaluation and reporting. 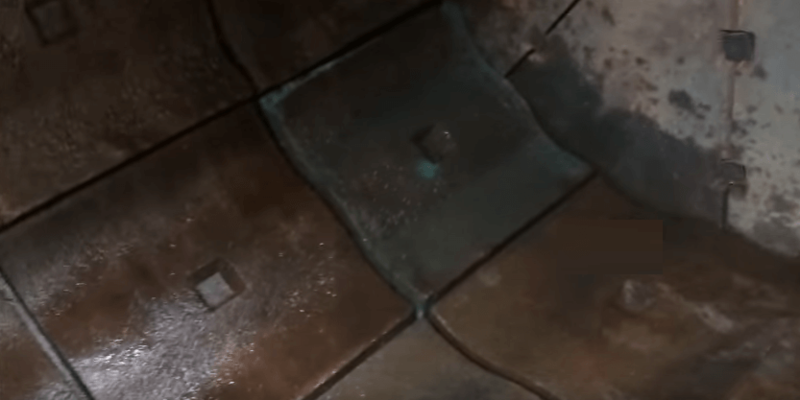 Just monitoring Wio and correcting operating problems as they occur will improve the utilization of the power delivered to the comminution circuits. 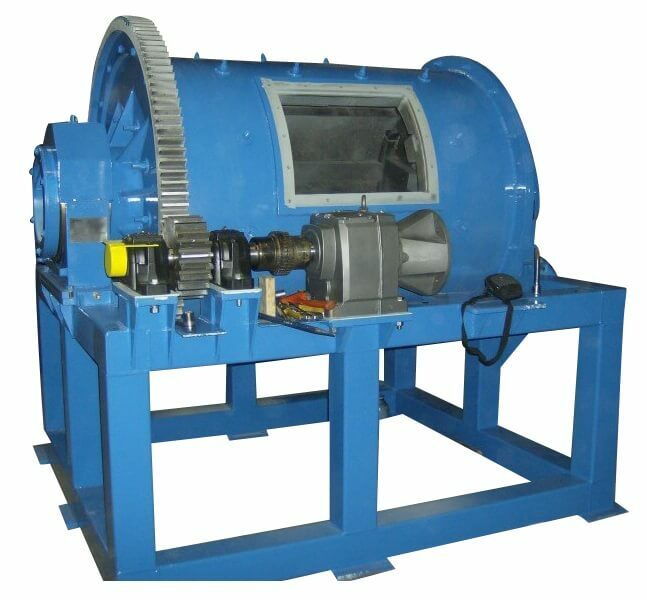 Samples taken from the chips around blast hole drillings and from broken ore in the pit or mine for laboratory work index and other ore characteristic determinations before the ore is delivered to the mill, can be used to predict in advance comminution circuit performance. 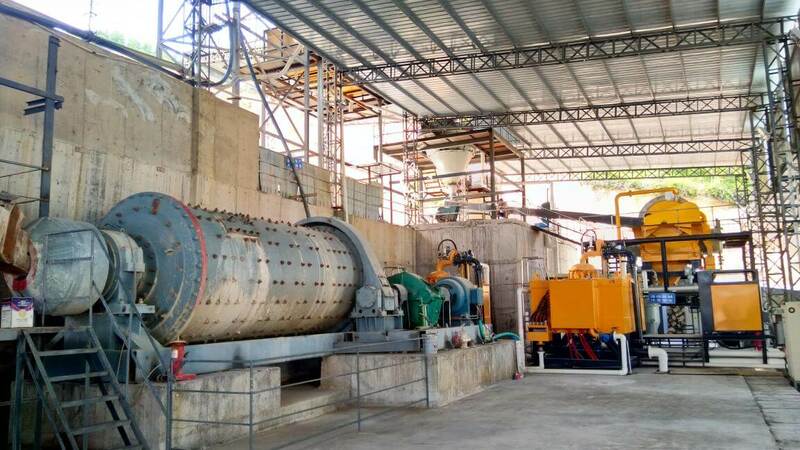 Test results can also be used for ore blending to obtain a more uniform feed, particularly to primary autogenous and semi-autogenous circuits. 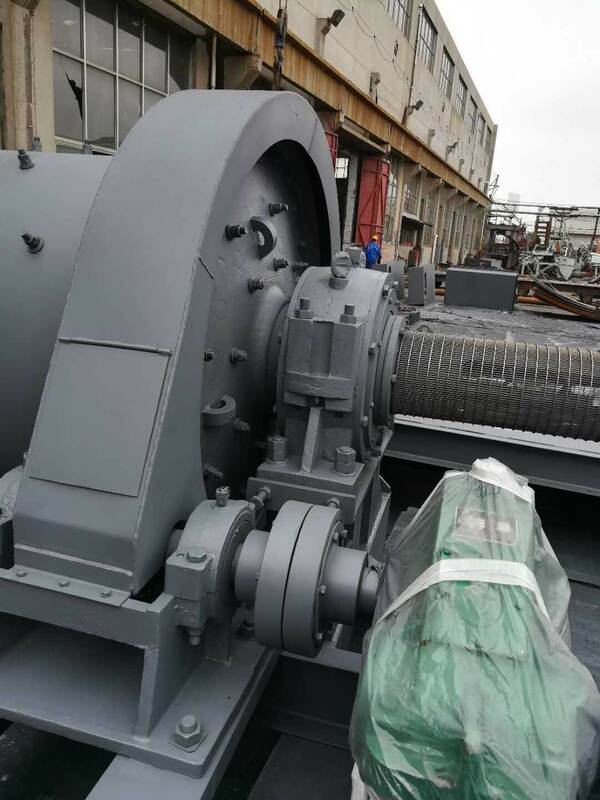 We sell Small Ball Mills from 2′ to 6’ (600 mm X 1800 mm) in diameter and as long as 10″ (3000 mm) in length. 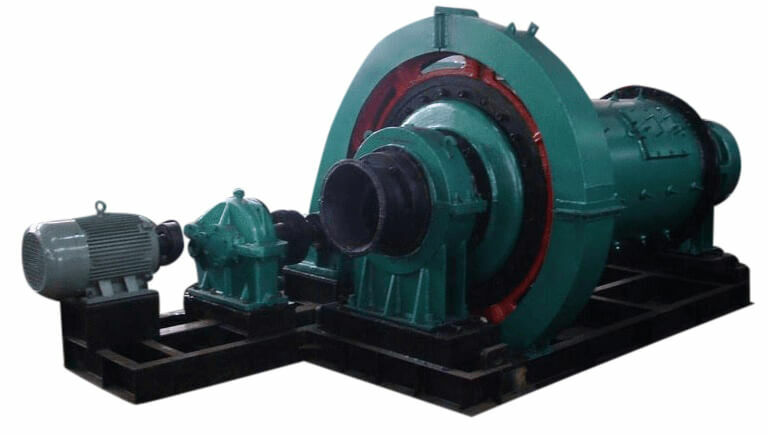 The mills are manufactured using a flanged mild steel shell, cast heads, overflow discharge, removable man door, spur type ring gear, pinion gear assembly with spherical roller bearings, replaceable roller bronze trunnion bearings, oil lubrication, replaceable trunnion liners with internal spirals, rubber liners and lifters, feed spout with wash port, discharge trommel with internal spiral, motor and gear reducer drive, direct coupled to pinion gear, gear guard and modular steel support frame. 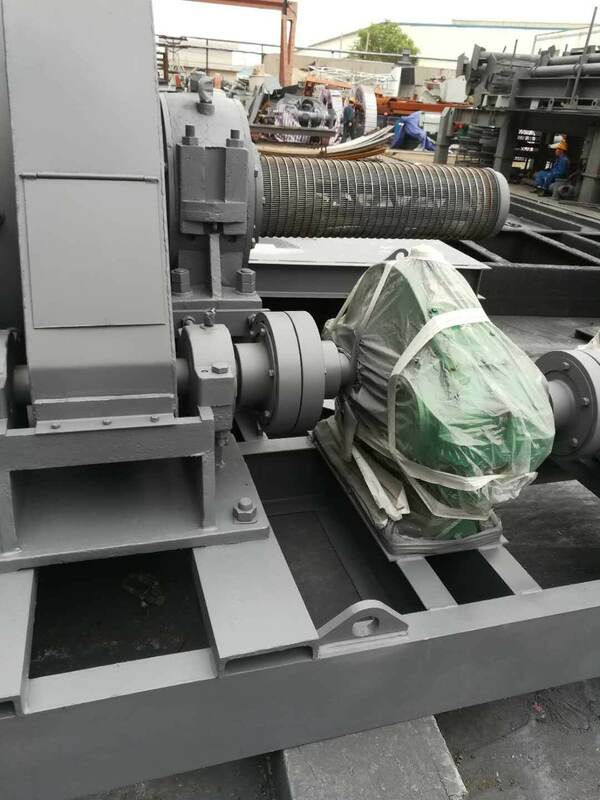 All ball mills always come with OSHA-type gear guard. A PULP level sufficiently high to interpose a bed of pulp, partly to cushion the impact of the balls, permits a maximum crushing effect with a minimum wear of steel. 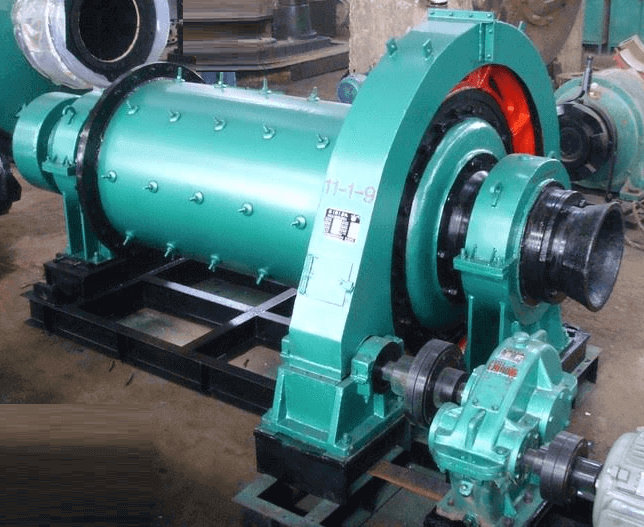 The pulp level of these Small Ball Mills can be varied from discharging at the periphery to discharging at a point about halfway between the trunnion and the periphery. 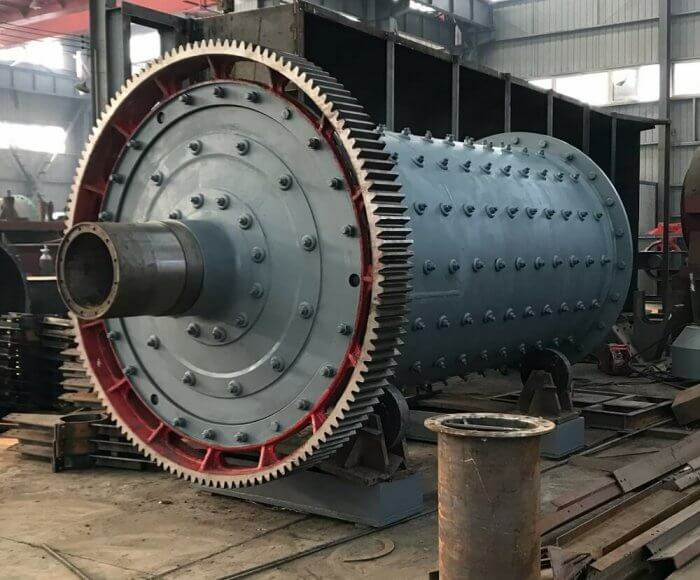 The mill shell is of welded plate steel with integral end flanges turned for perfect alignment, and the heads are semi-steel, with hand holes in the discharge end through which the diaphragm regulation is arranged with plugs. The trunnion bearings are babbitted, spherical, cast iron, and of ample size to insure low bearing pressure; while the shell and saddle are machined to gauge so that the shells are interchangeable. 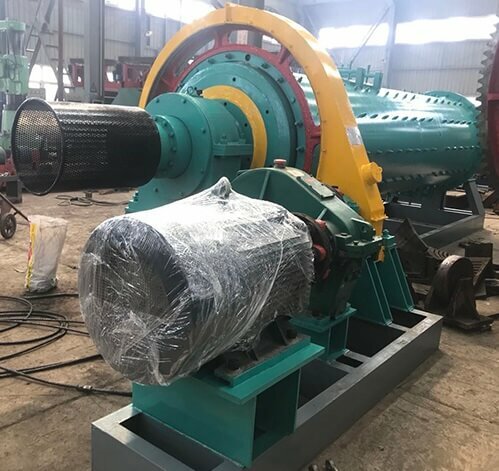 Data based on:—Wet grinding, single stage, closed circuit operation: feed:—(½” one way dimension); Class III ore.
All mills:—free discharge, grated type, rapid pulp flow. 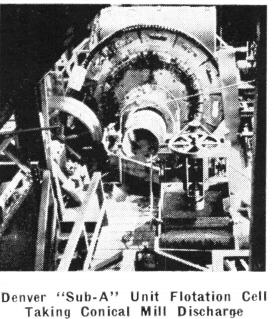 N. B.—for overflow type mills: capacity 80%—power 83%. 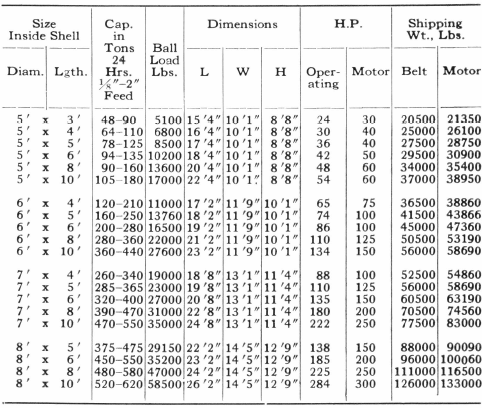 Dimensions :—“diameters” inside shell without liners—“lengths” working length shell between end liners. 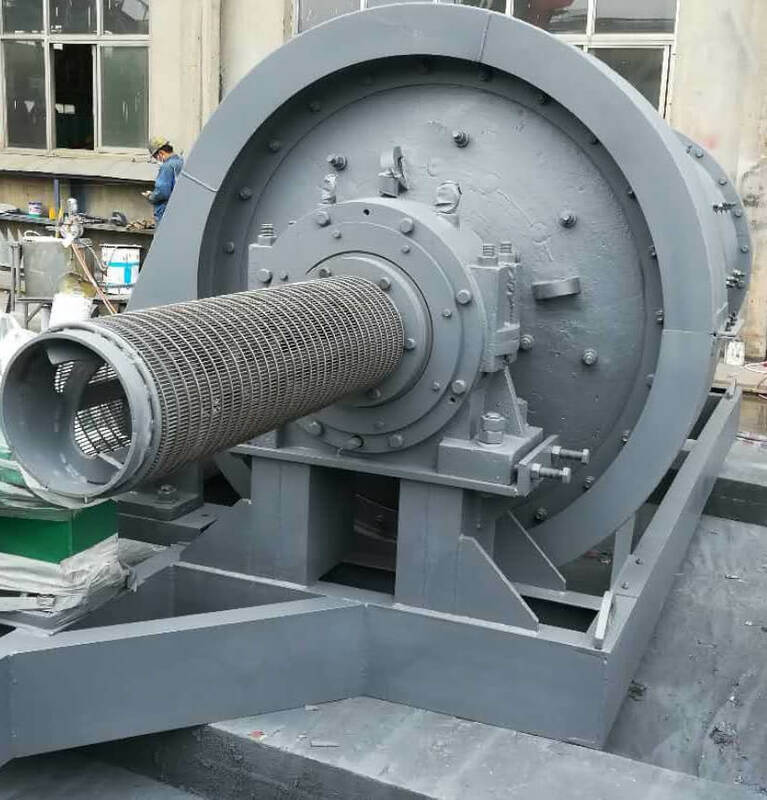 The CIW is a Small Ball Mill that’s belt driven, rigid bearing, wet grinding, trunnion or grate discharge type mill with friction clutch pulley and welded steel shell. 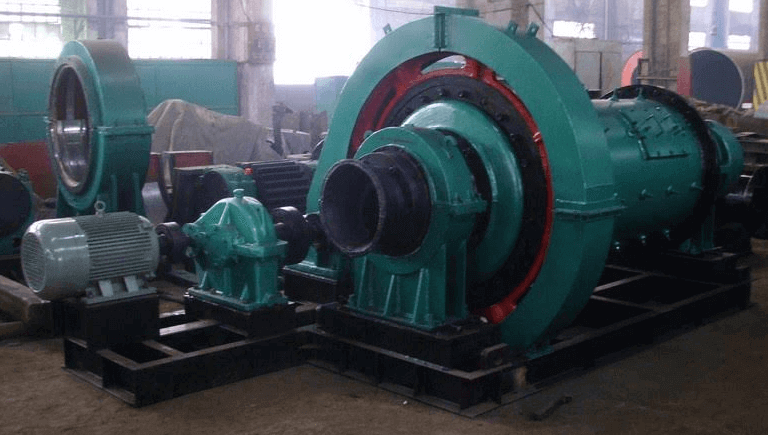 The 7 and 8 foot diameter mills are of flange ring construction with cut gears while all other sizes have cast tooth gears. 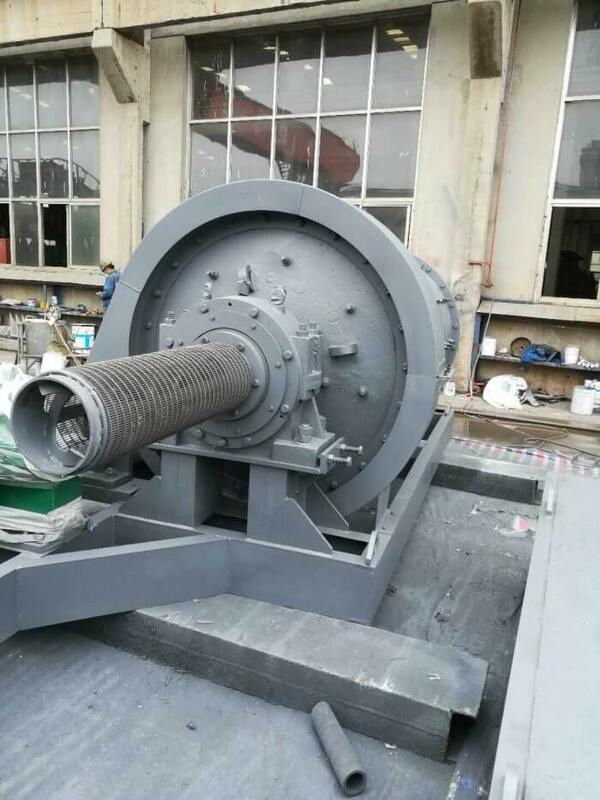 All these mills are standard with white iron bar wave type shell liners except the 8 foot diameter mill which is equipped with manganese steel liners. 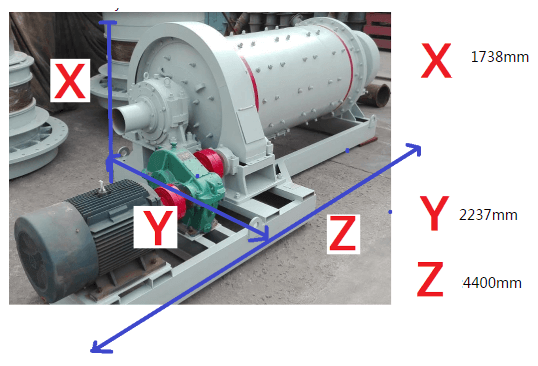 The horsepowers shown in the table are under running conditions so that high torque or wound rotor (slip ring) motors must be used. 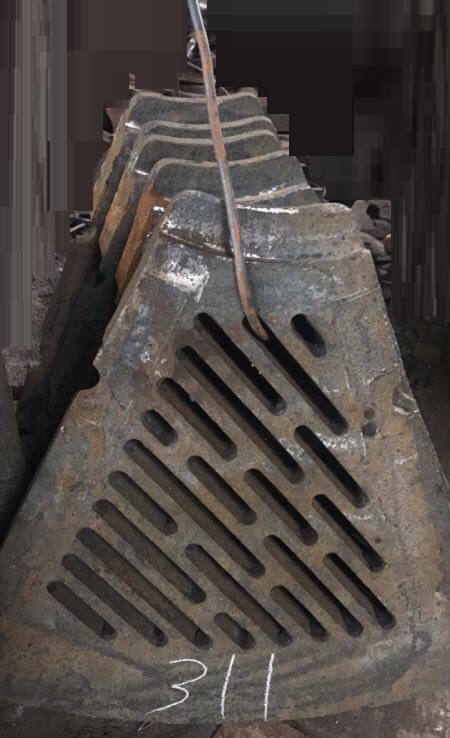 Manganese or alloy steel shell or head liners and grates can be supplied with all sizes of mills if required. Alloy steel shell liners are recommended where 4″ or larger balls are used and particularly for the larger sized mills. The larger mills are custom built according to your requirements. Whatever these are there is a C. I. W. Ball Mill built to meet your particular problem at the right price. 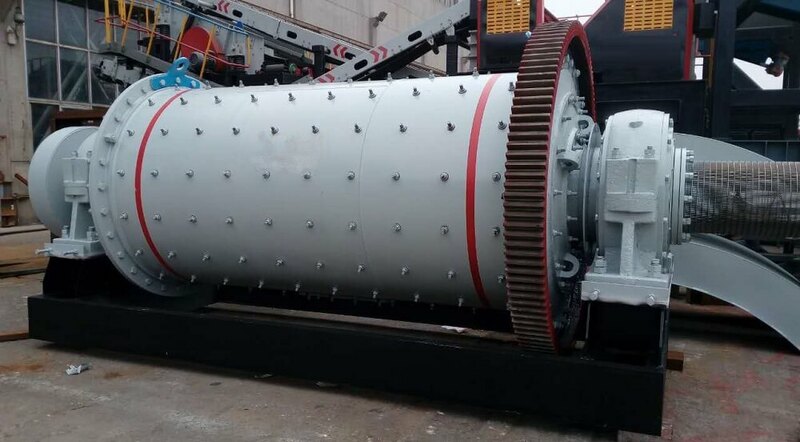 Small (Muleback Type) Ball Mill is built for “muleback” transportation in 30″ and 3′ diameters (inside liners). 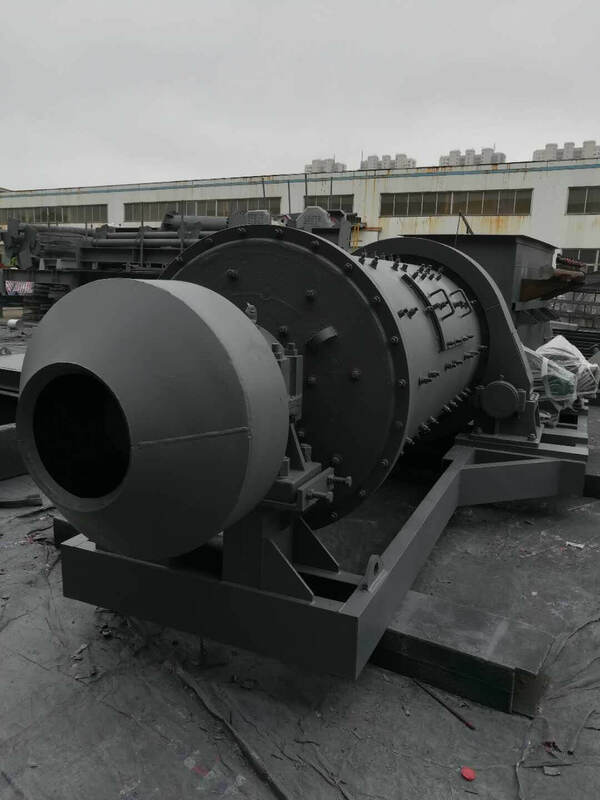 A 4′ (Muleback Type) Ball Mill is of special design and will be carefully considered upon request. Mankind’s search for valuable minerals often leads him far away from modern transportation facilities. The potential sources of gold, silver and strategic minerals are often found by the prospector, not close by our modern highways, but far back in the mountains and deserts all over the world. 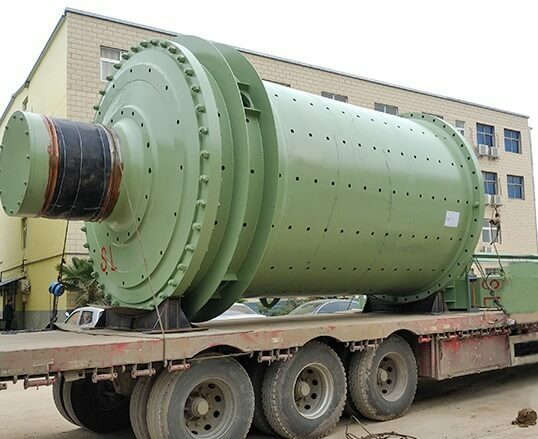 The Equipment Company has realized this fact, and therefore has designed a Ball Mill that can be transported to these faraway and relatively inaccessible properties, either by the age old “muleback” transportation system, or by the modern airplane. 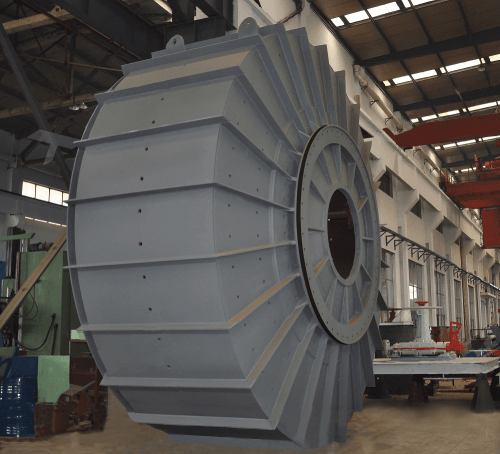 As a result these properties may now obtain a well-designed ball mill with the heaviest individual piece weighing only 350 pounds. The prime factor considered in this design was to furnish equipment having a maximum strength with a minimum weight. 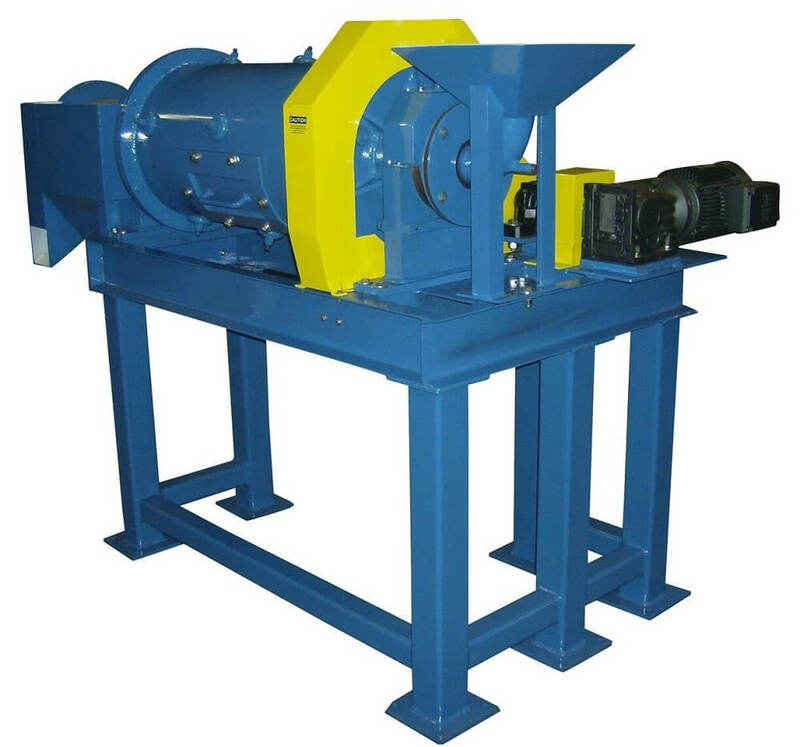 For this reason, these mills are made of steel, giving a high tensile strength and light weight to the mills. 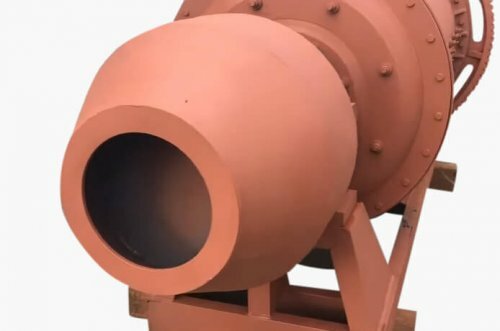 The “muleback” design consists of the sturdy cast iron head construction on the 30″ size and cast steel head construction on the larger sizes. 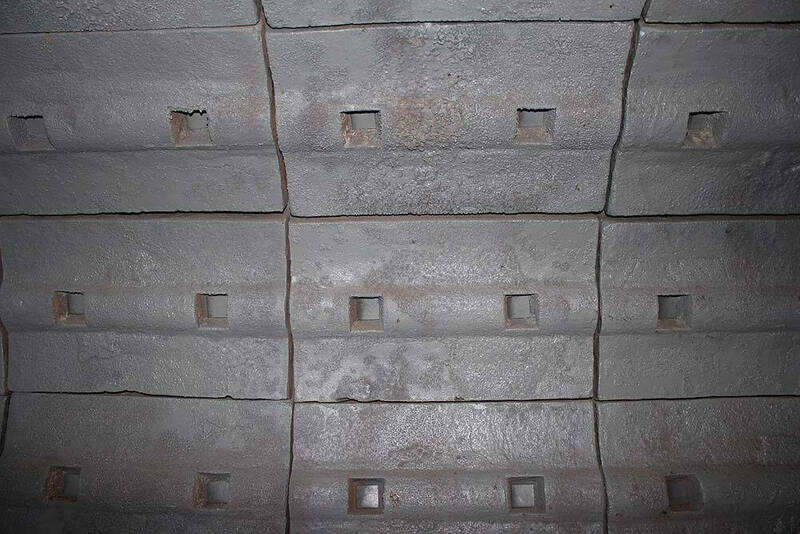 The flanges on the heads are arranged to bolt to the rolled steel shell provided with flanged rings. 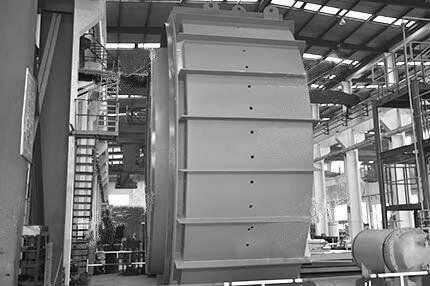 When required, the total length of the shell may consist of several shell lengths flanged together to provide the desired mill length. Liners, bearings, gears and drives are similar to those standard on all Ball Mills. This (Convertible) and Small Ball Mill is unique in design and is particularly adapted to small milling plants. 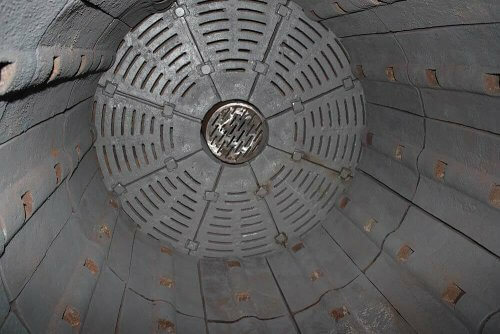 The shell is cast in one piece with a flange for bolting to the head. 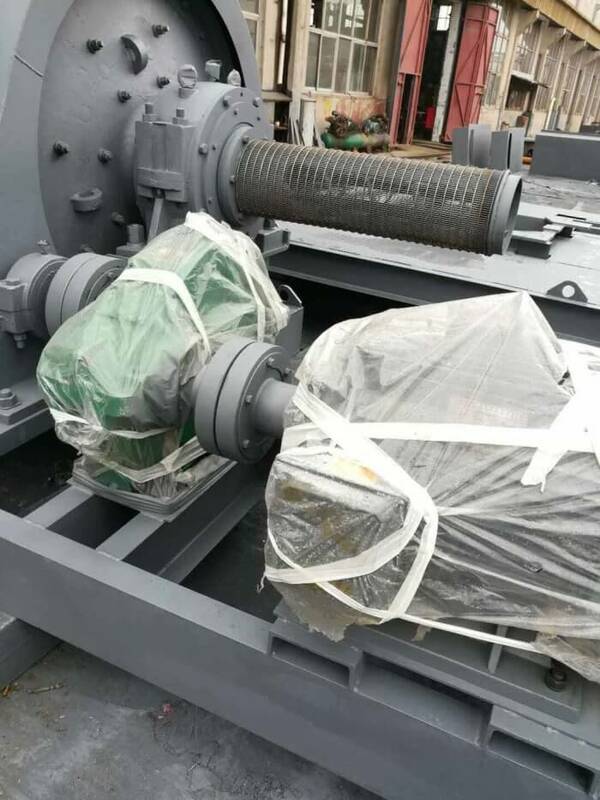 In converting the mill from a 30″x 18″ to a 30″x 36″ unit with double the capacity, it is only necessary to secure a second cast shell (a duplicate of the first) and bolt it to the original section. 30″ Convertible Ball Mills are furnished with scoop feeders with replaceable lips. 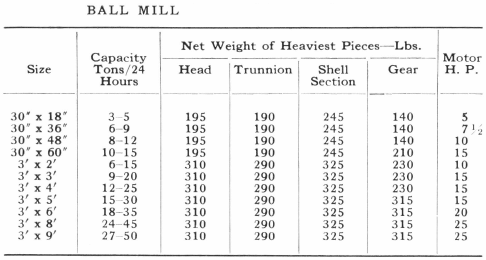 Standard mills are furnished with liners to avoid replacement of the shell; however, the mill can be obtained less liners. This ball mill is often driven by belts placed around the center, although gear drive units with cast gears can be furnished. 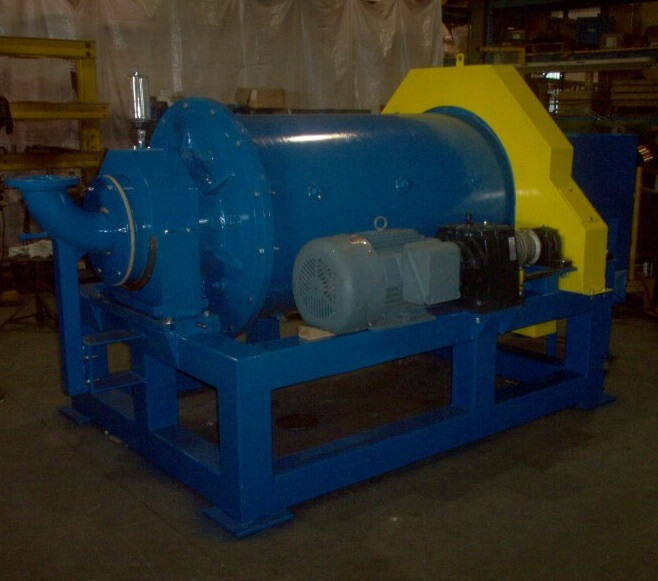 A Spiral Screen can be attached to the discharge. 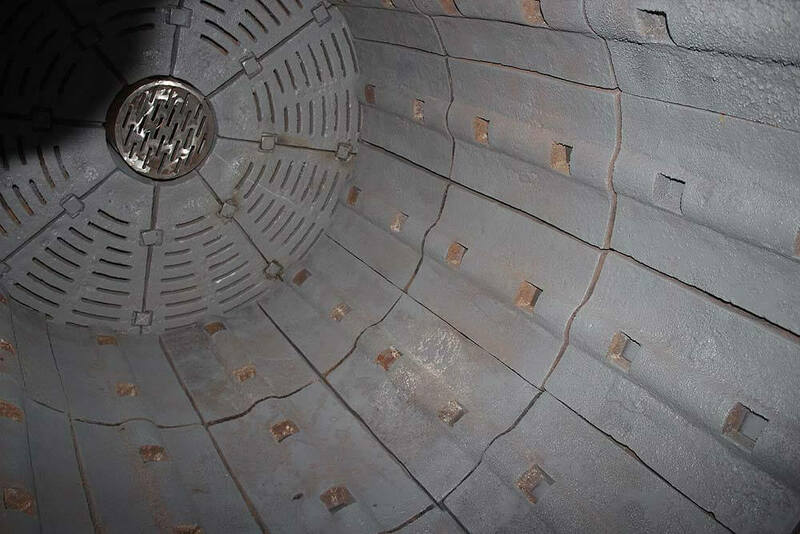 The cast iron shell which is bolted to the heads is made with an extra thick wall to give long wearing life. 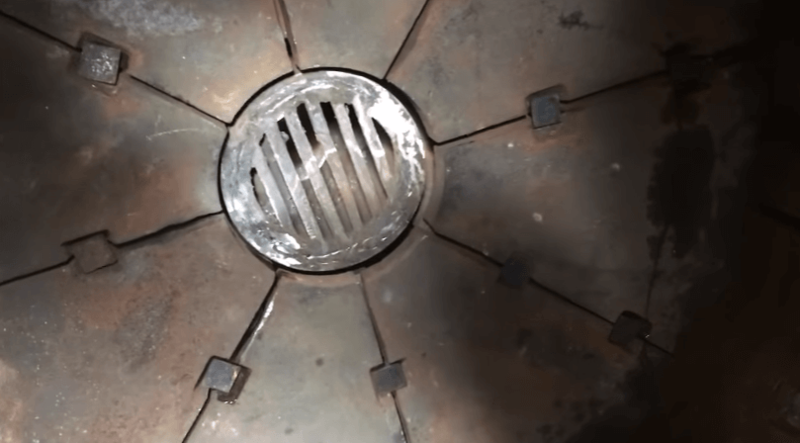 Two grate cleanout doors are provided on opposite sides of the shell by means of which the mill can be either gradually discharged and washed, while running, or easily and rapidly emptied and flushed out while shut down. 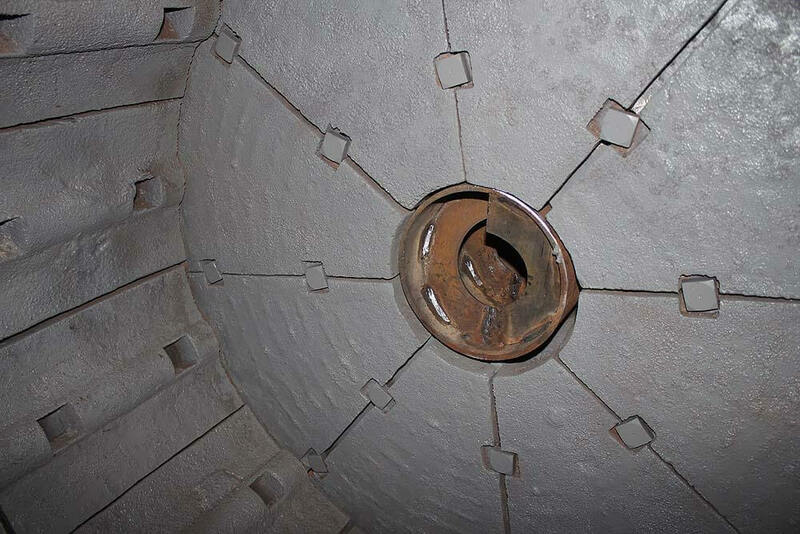 Wash-water is introduced into the interior of the mill through a tapped opening in the trunnion. 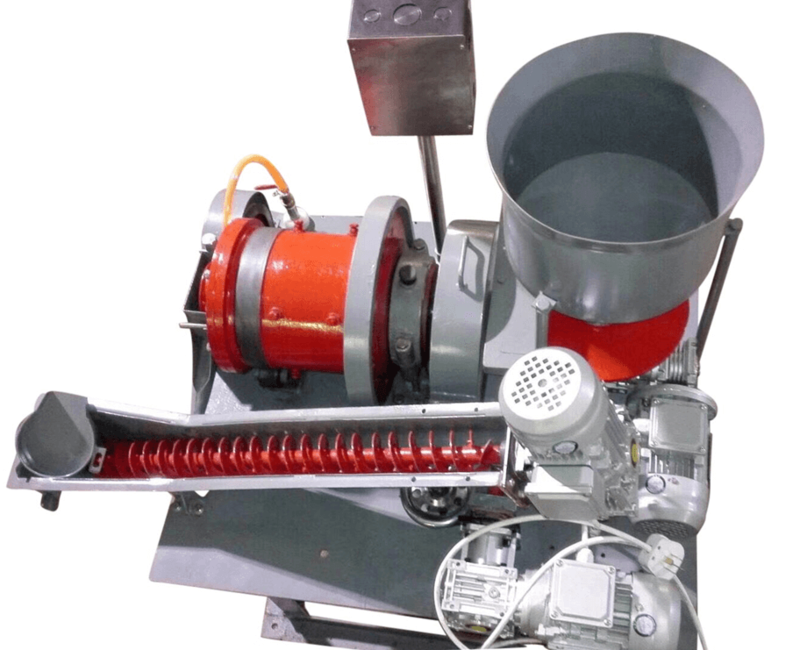 The mill may be lined with rubber, silex (buhrstone) or wood if desired. 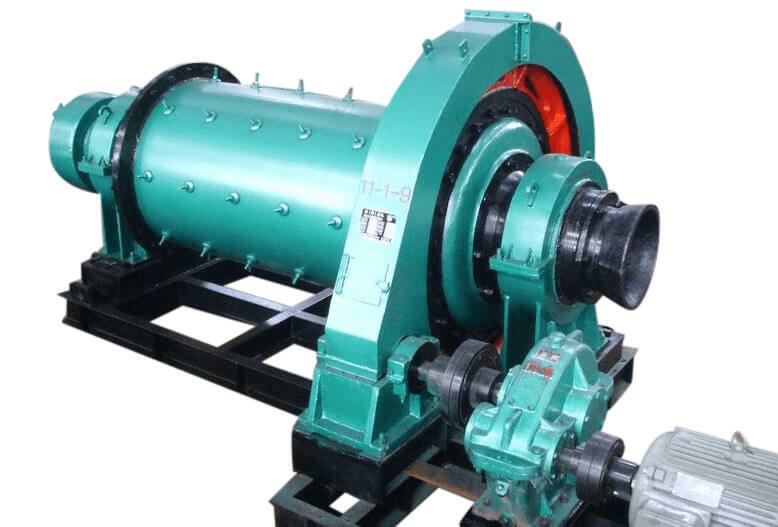 Flat-belt drive through tight and loose pulleys direct to trunnion shaft. In operations in the field one of the main advantages of this type of ball mill is the structural strength due to the conical steel ends. 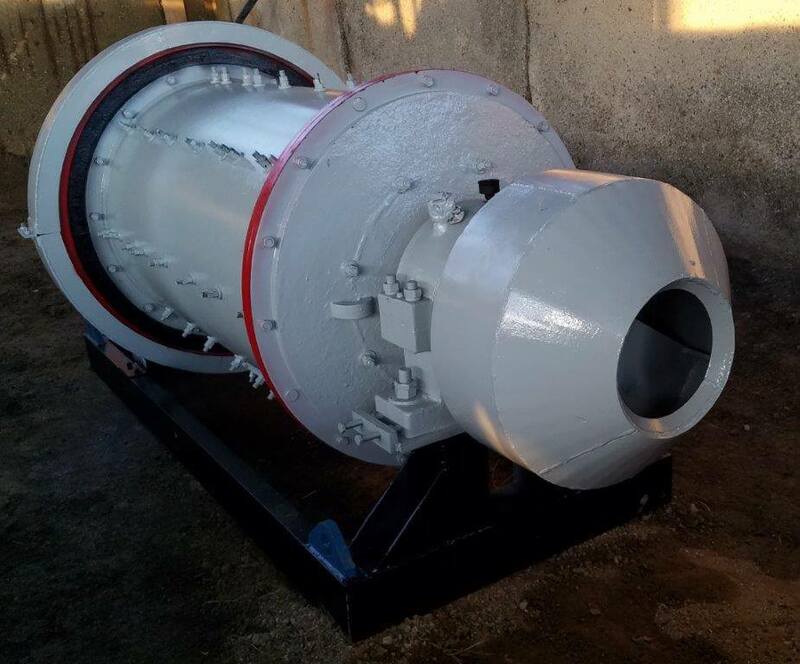 Sizes of conical mills are given in diameter of the cylindrical section in feet and the length of the cylindrical section in inches. Liners can be had of hard iron, manganese steel or Belgian Silex. 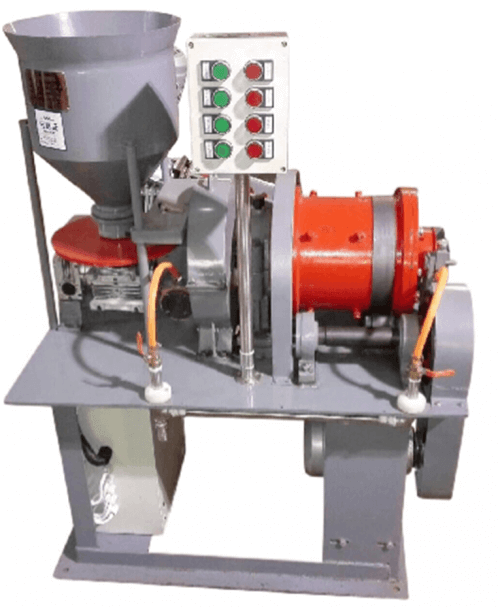 Forged steel balls or Danish Flint Pebbles are used for the grinding media, depending upon the material being milled. Various types of drives can be furnished to suit the individual requirements of particular installations. 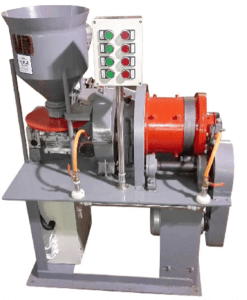 Let us make recommendations for most efficiently solving your grinding problem. 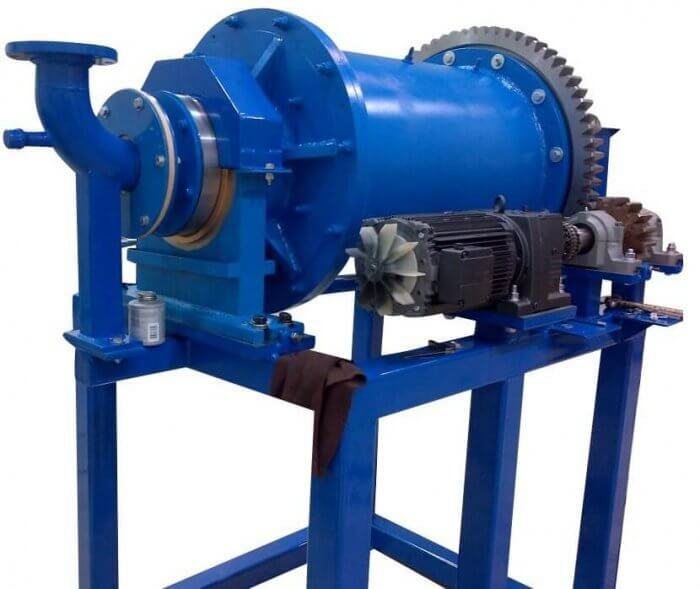 Thus the engineer can fit any one of fifteen methods of discharging a ball mill into grinding problem. 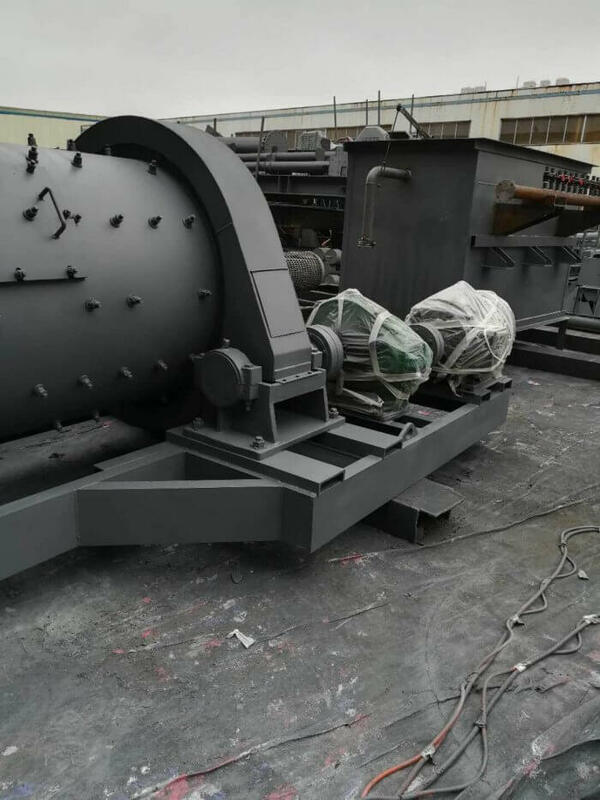 The superiority of the Steel Head Ball-Rod Mill is due to the all steel construction. 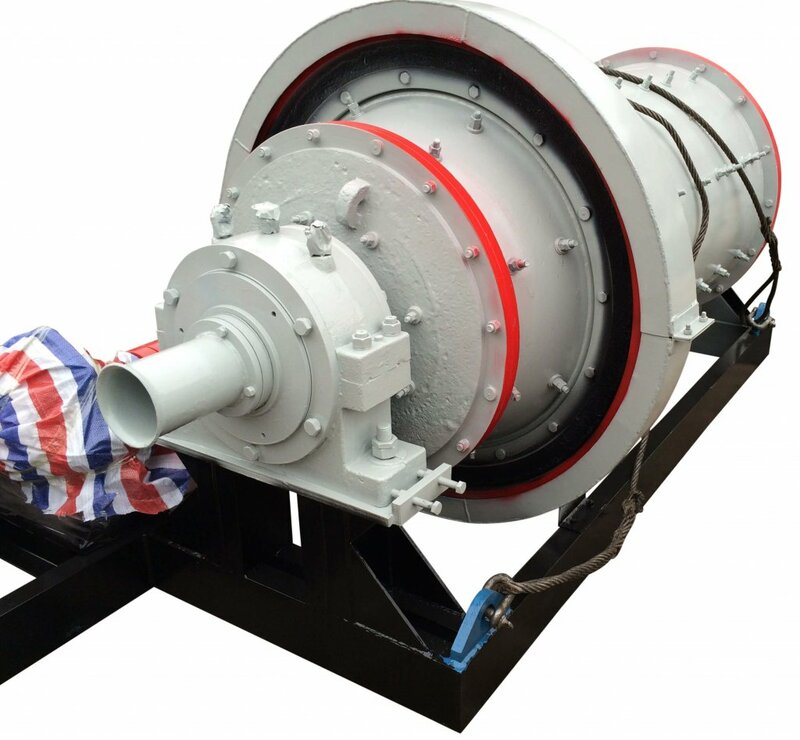 The trunnions are an integral part of the cast steel heads and are machined with the axis of the mill. 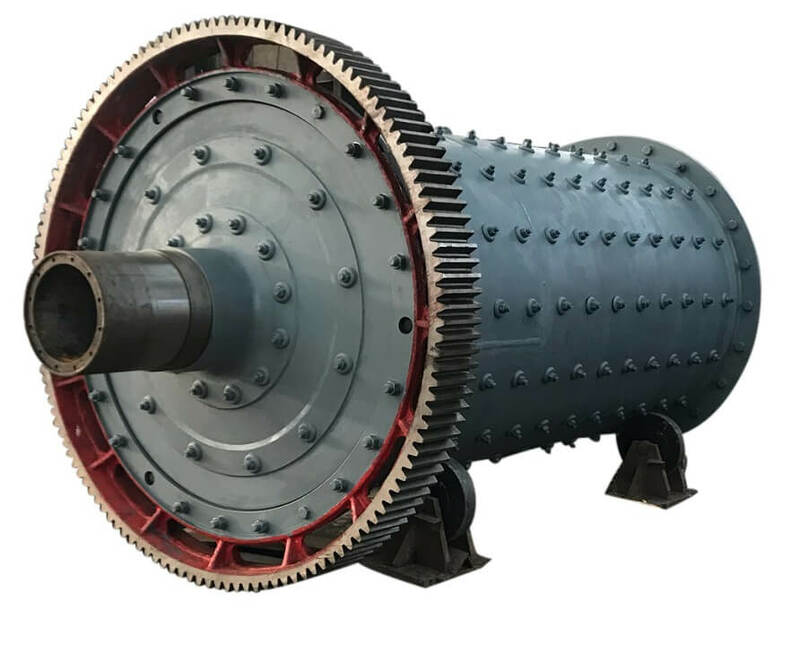 The mill heads are assured against breakage due to the high tensile strength of cast steel as compared to that of the cast iron head found on the ordinary ball mill. 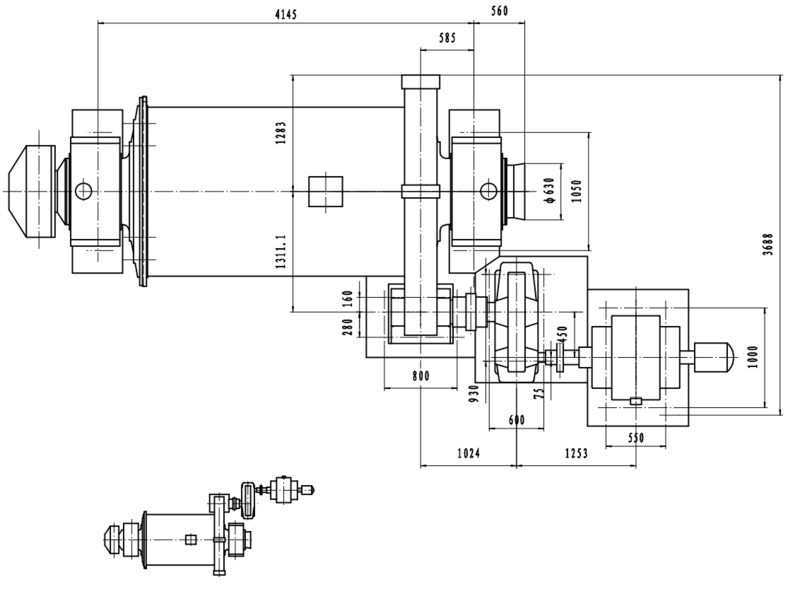 Trunnion Bearings are made of high- grade nickel babbitt. 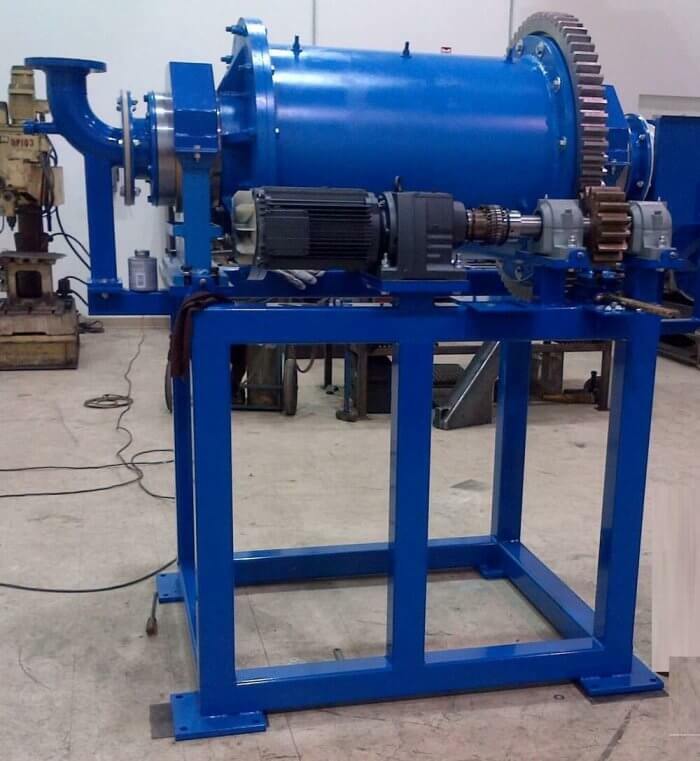 Steel Head Ball-Rod Mills can be converted into larger capacity mills by bolting an additional shell length onto the flange of the original shell. 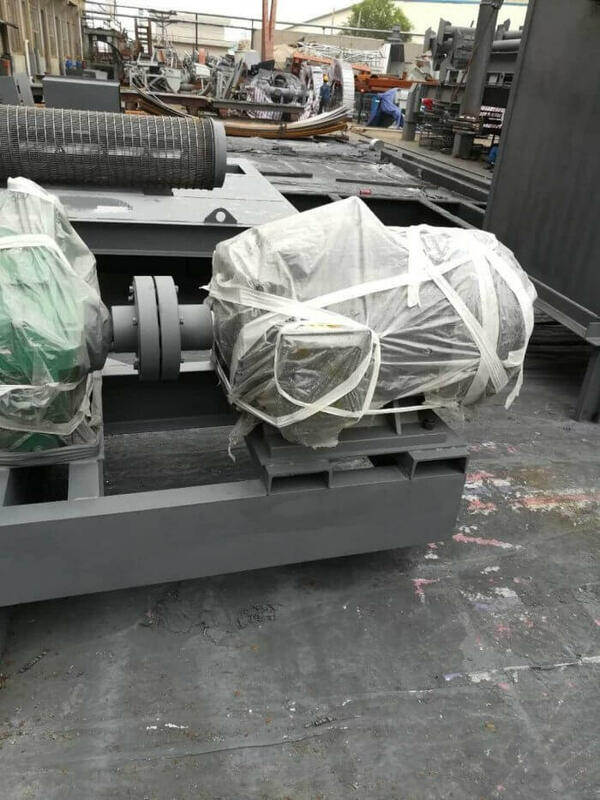 This is possible because all Steel Head Ball or Rod Mills have bearings suitable for mills with length twice the diameter. 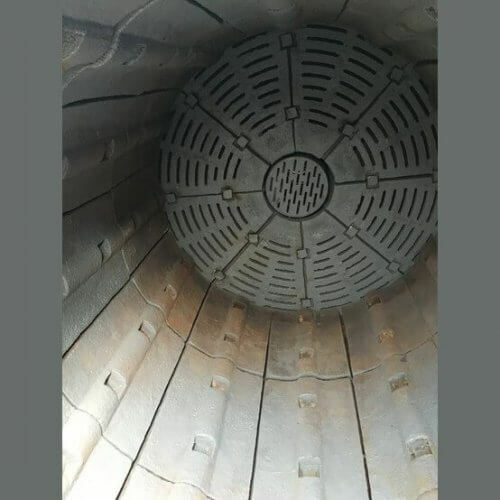 Head and shell liners for Steel Head Ball-Rod Mills are available in Decolloy (a chrome-nickel alloy), hard iron, electric steel, molychrome steel, and manganese steel. 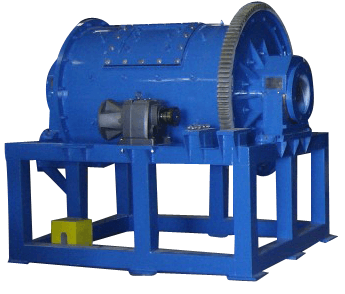 Drive gears are furnished either in cast tooth spur gear and pinion or cut tooth spur gear and pinion. 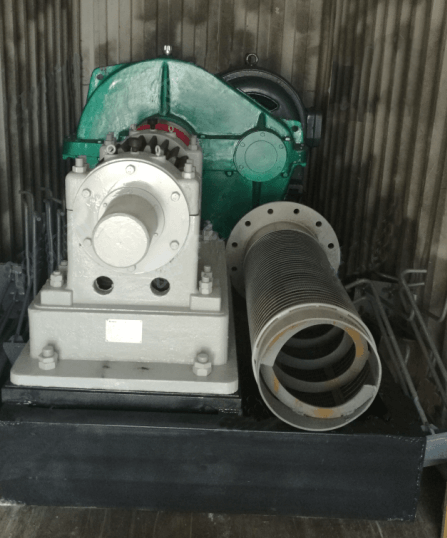 The gears are furnished as standard on the discharge end of the mill, out of the way of the classifier return feed, but can be furnished at the mill feed end by request. 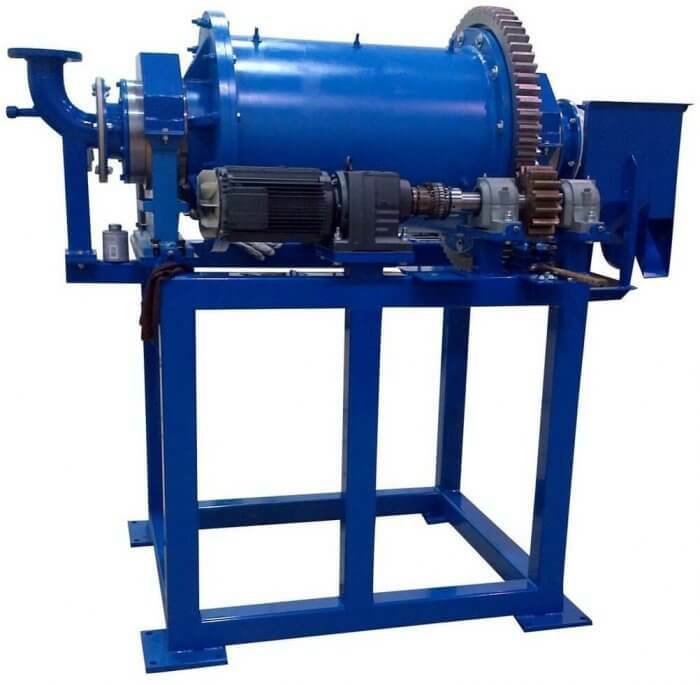 Drives may be obtained according to the customer’s specifications. 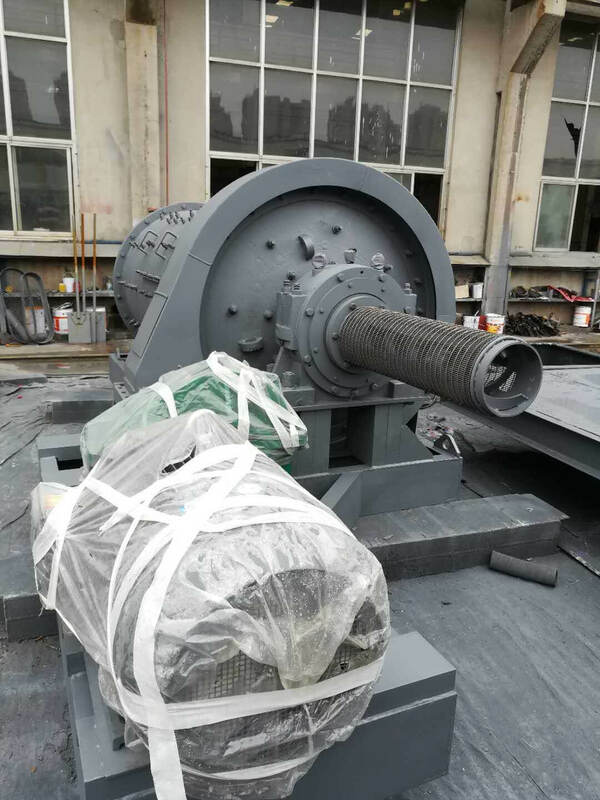 Ball-Rod Mills have greater capacity than most mills because the diameters of Ball-Rod Mills are measured inside the liners, while most mills measure inside the shell. 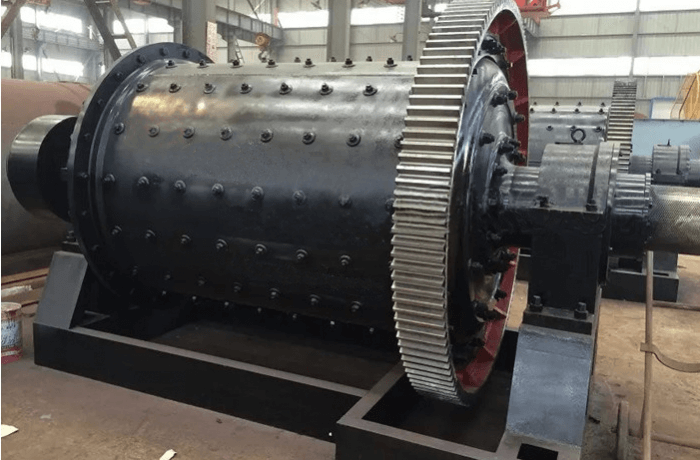 “Way back when” Traylor was young, we built our first ball mill and, as for as we know, that old mill is running yet, grinding out dollars for its owner. 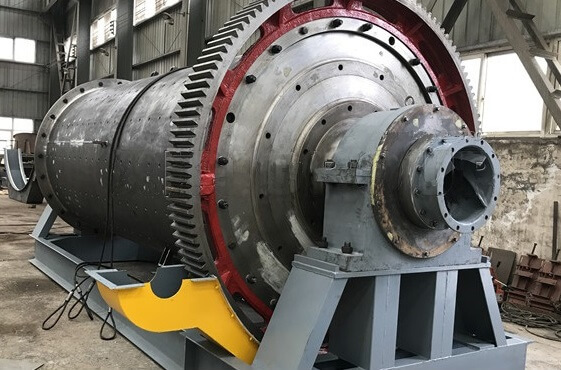 That’s one characteristic of Traylor Ball Mills liked by owners–they are built not only to do a first class job at low cost but to keep on doing it, year after year. Of course, that means we do not build as many mills as if they wore out quickly–or would we? 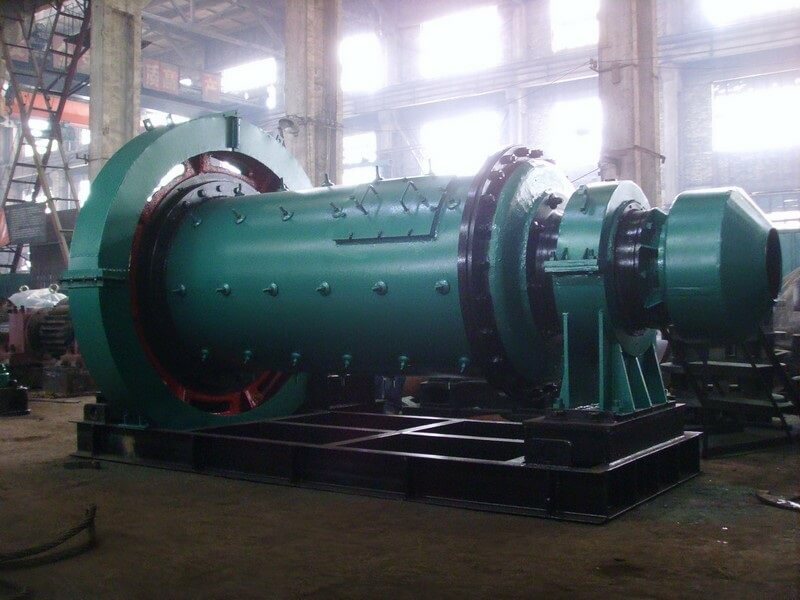 –but much as we like order, we value more the fine reputation Traylor Ball Mills have had for nearly three decades. We don’t aim to write specifications into this advertisement–let it suffice to say that there’s a Traylor Ball Mills that will exactly fit any requirement that anyone may have. 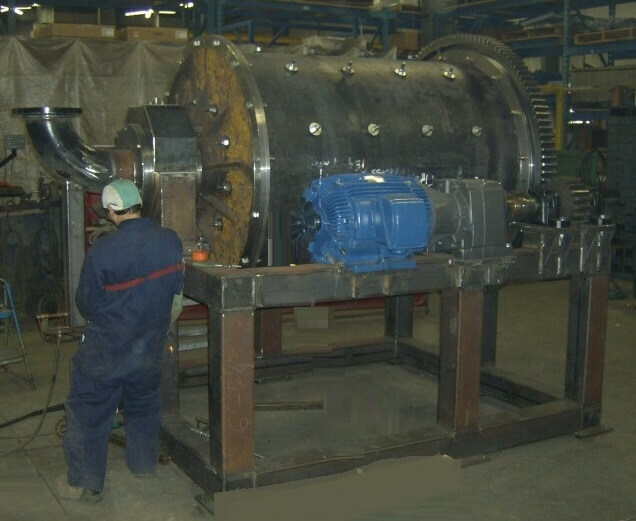 That’s one characteristic of Traylor Ball Mills We don’t aim to write specifications into this liked by owners–they are built not only to do advertisement–let it suffice to say that there’s a first class job at low cost but to keep on do- a Traylor Ball Mills that will exactly fit anyanything it, year after year. Of course, that means requirement that anyone may have. If this is true, there is significance in the fact that international Nicked and Climax Molybdenum, the world’s largest producers of two important steel alloys, are both users of MARCY Mills exclusively. 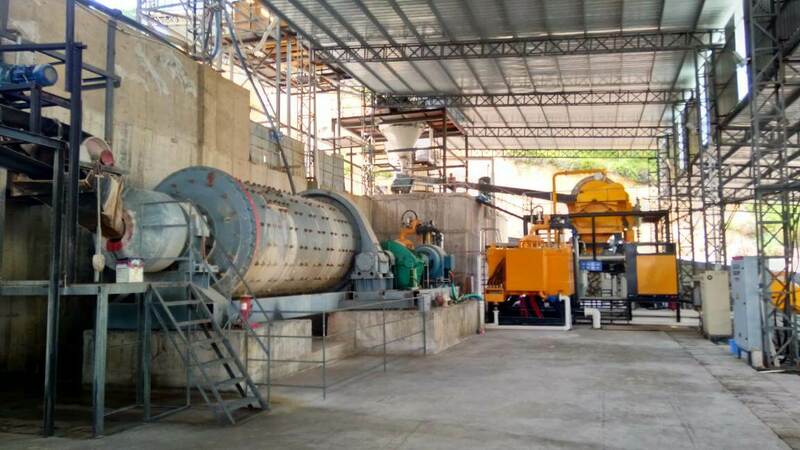 With international interest centered on increasing production of gold, it is even more significant that MARCY Mills are the predominant choice of operators in every importants gold mining camp in the world. 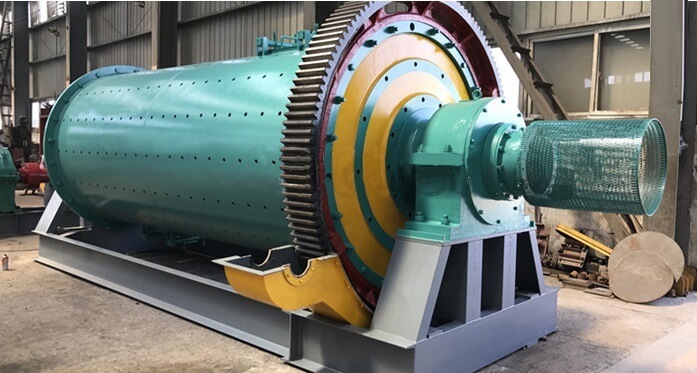 Present day MARCYS embody important improvement – including a NEW Open End Ball Mill which creates even more rapid and positive circulation of the mill content. 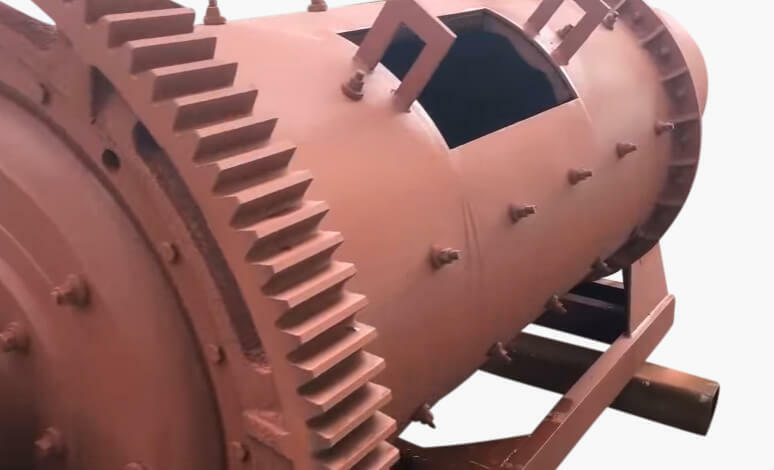 Ball Mill. 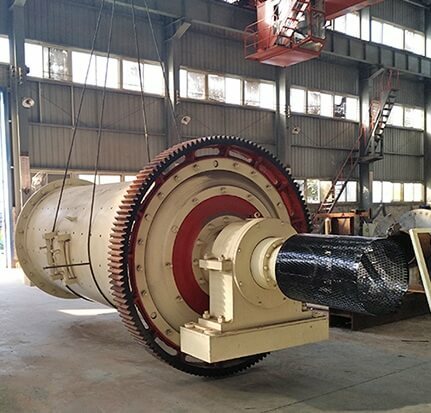 Intermediate and fine size reduction by grinding is frequently achieved in a ball mill in which the length of the cylindrical shell is usually 1 to 1.5 times the shell diameter. 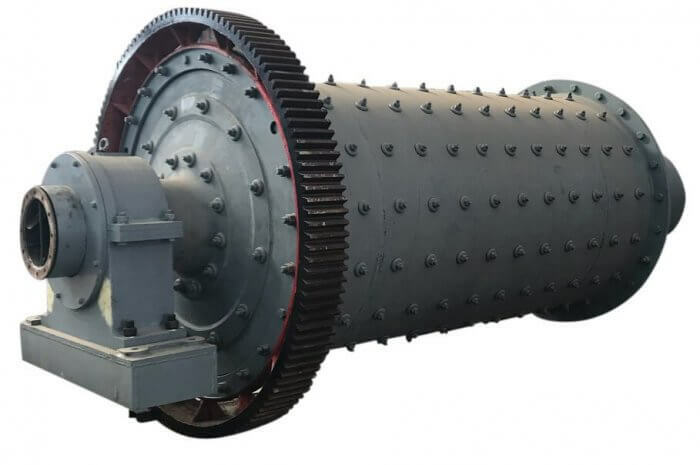 Ball mills of greater length are termed “tube mills,” and when hard pebbles rather than steel balls are used for the grinding media, the mills are known as “pebble mills.’’ In general, ball mills can be operated either wet or dry and are capable of producing products on the order of 100 pm. This duty represents reduction ratios as great as 100. 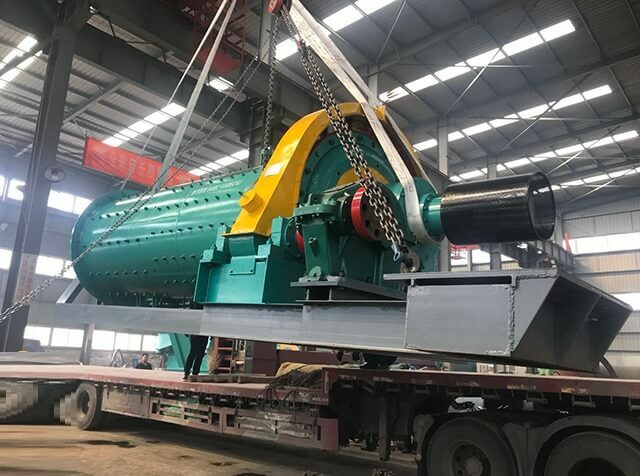 The ball mill, an intermediate and fine-grinding device, is a tumbling drum with a 40% to 50% filling of balls (usually steel or steel alloys). The material that is to be ground fills the voids between the balls. The tumbling balls capture the particles in ball/ball or ball/liner events and load them to the point of fracture. Very large tonnages can be ground with these devices because they are very effective material handling devices. The feed can be dry, with less than 3% moisture to minimize ball coating, or a slurry can be used containing 20% to 40% water by weight. Ball mills are employed in either primary or secondary grinding applications. 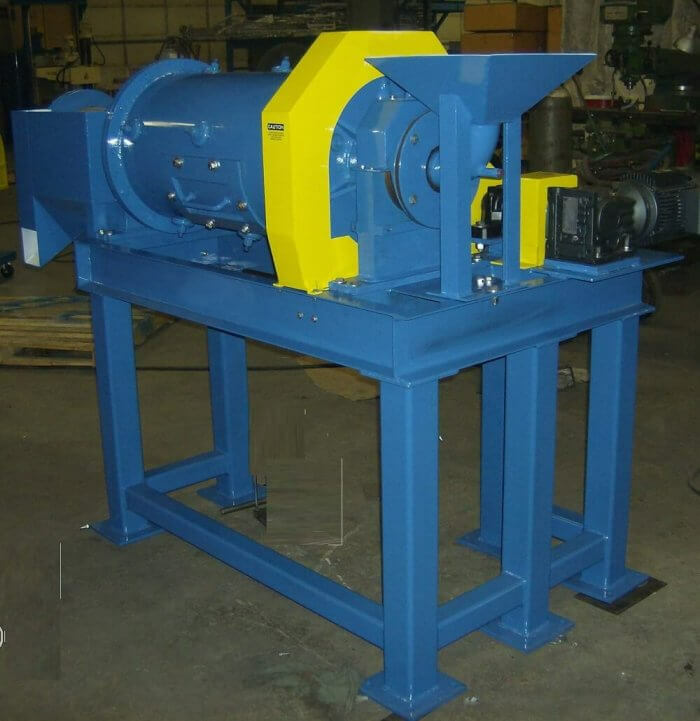 In primary applications, they receive their feed from crushers, and in secondary applications, they receive their feed from rod mills, autogenous mills, or semiautogenous mills. 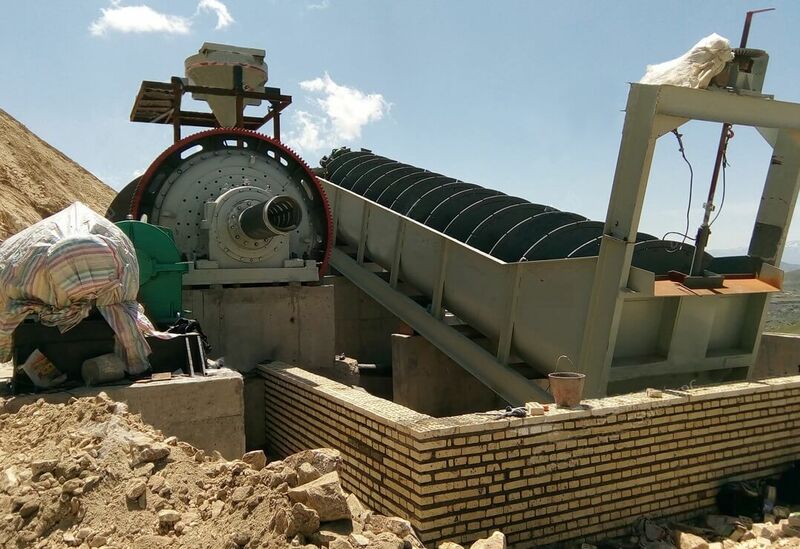 Regrind mills in mineral processing operations are usually ball mills, because the feed for these applications is typically quite fine. Ball mills are sometimes used in single-stage grinding, receiving crusher product. The circuits of these mills are often closed with classifiers at high-circulating loads. 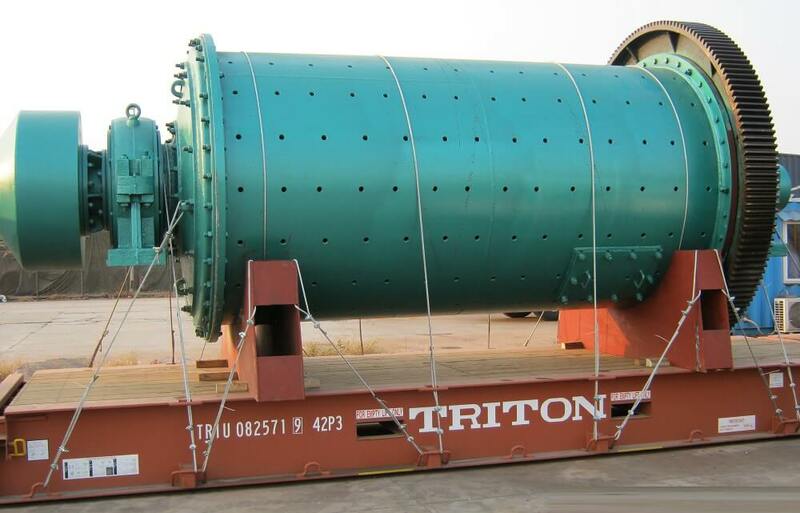 These loads maximize throughput at a desired product size. 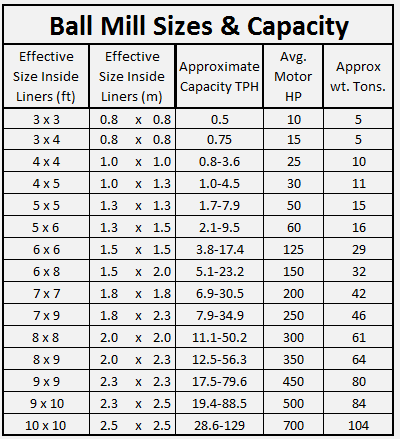 The characteristics of ball mills are summarized in the Table, which lists typical feed and product sizes. 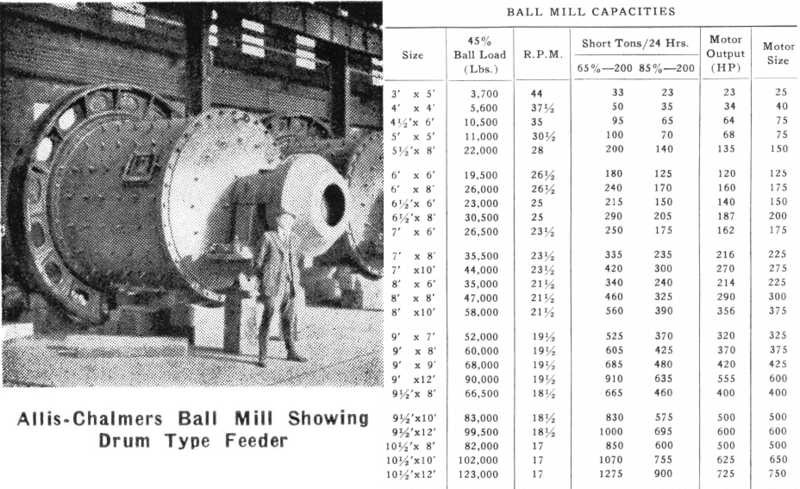 The size of the mill required to achieve a given task-that is, the diameter (D) inside the liners-can be calculated from the design relationships given. 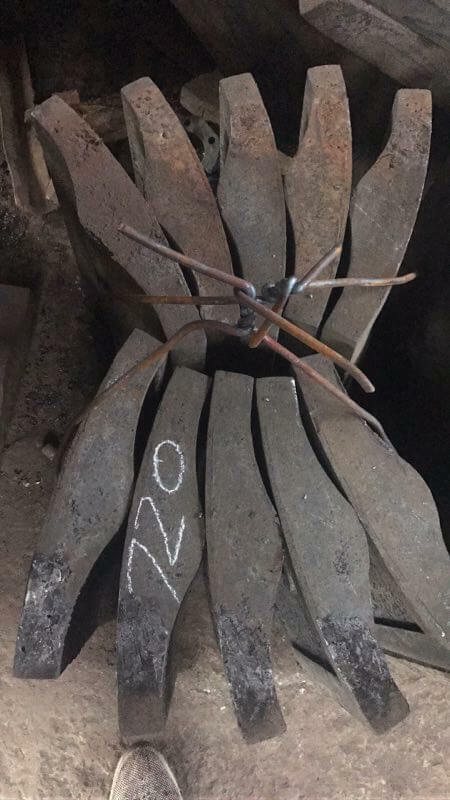 The design parameters must be specified. The liner- and ball-wear equations are typically written in terms of an abrasion index (Bond 1963). 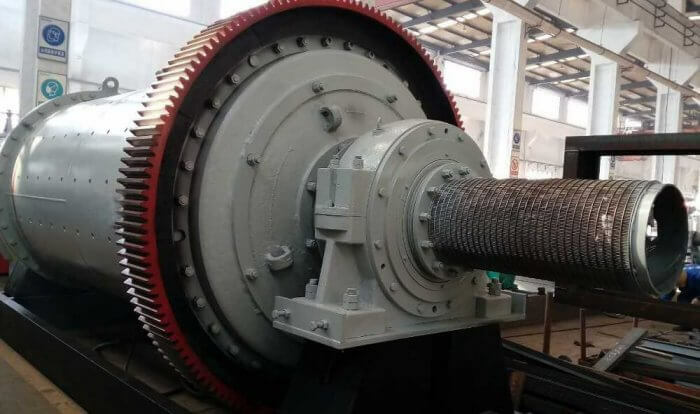 The calculated liner and ball wear is expressed in kilograms per kilowatt-hour (kg/kWh), and when multiplied by the specific power (kWh/t), the wear rates are given in kilograms per ton of feed. 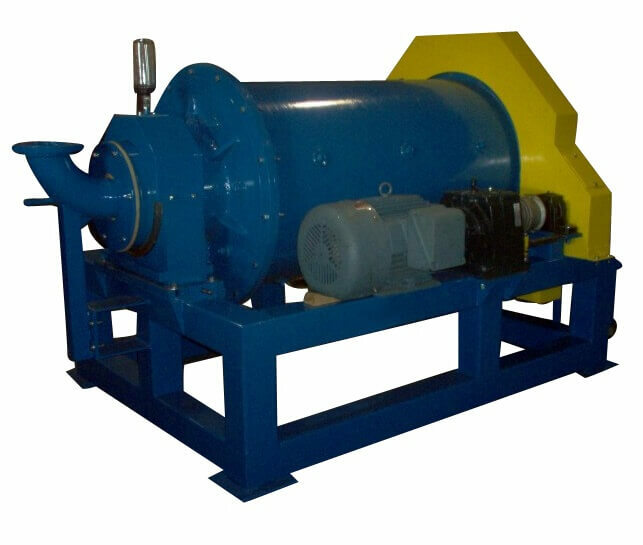 The wear in dry ball mills is approximately one-tenth of that in wet ball mills because of the inhibition of corrosion. 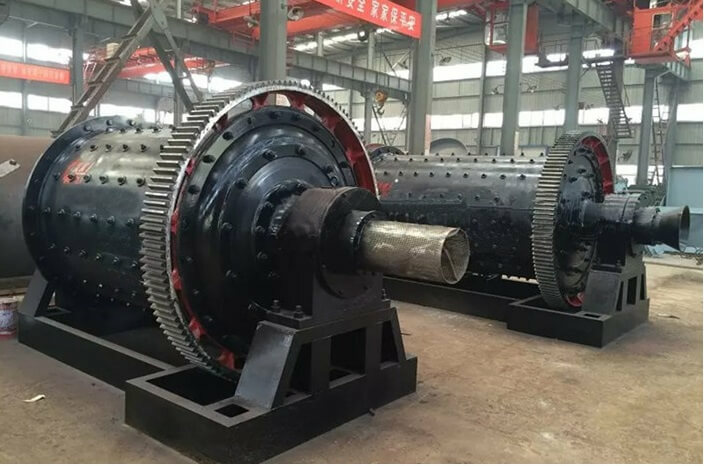 The efficiency of ball mills as measured relative to single-particle slow-compression loading is about 5%. 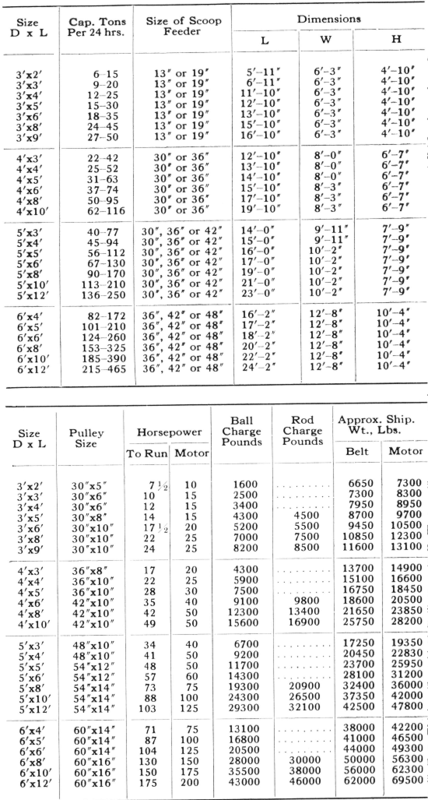 Abrasion indices for five materials are also listed in the Table. 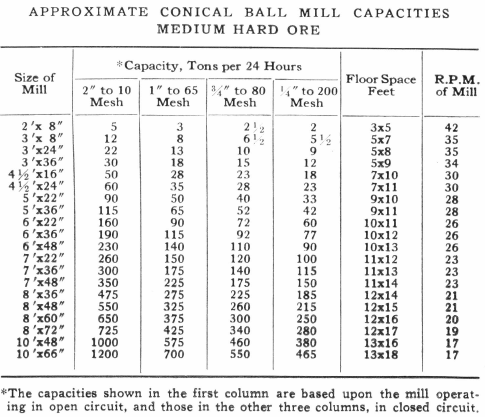 The L/D ratios of ball mills range from slightly less than 1:1 to something greater than 2:1. The tube and compartment ball mills commonly used in the cement industry have L/D ratios 2.75:1 or more. 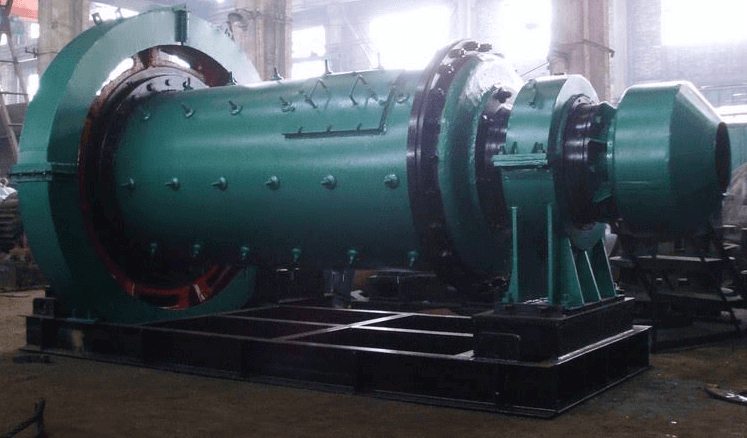 The fraction of critical speed that the mill turns depends on the application, and most mills operate at around 75% of critical speed. Increased speed generally means increased power, but as the simulations presented in Figure 3.26 show, it can also produce more wasted ball impacts on the liners above the toe. causing more wear and less breakage. 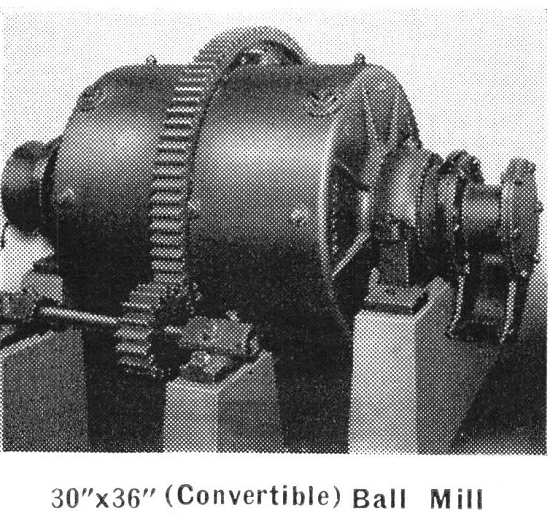 Currently ball mills are built up to a diameter of 26 ft. 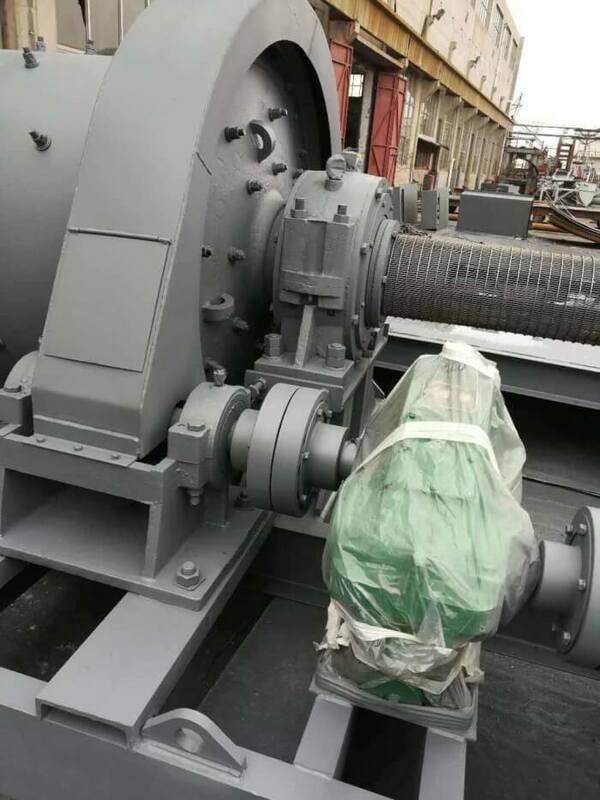 These mills are installed at many locations around the world and frequently require more than 10 MW to operate. There are three principal forms of discharge mechanism. 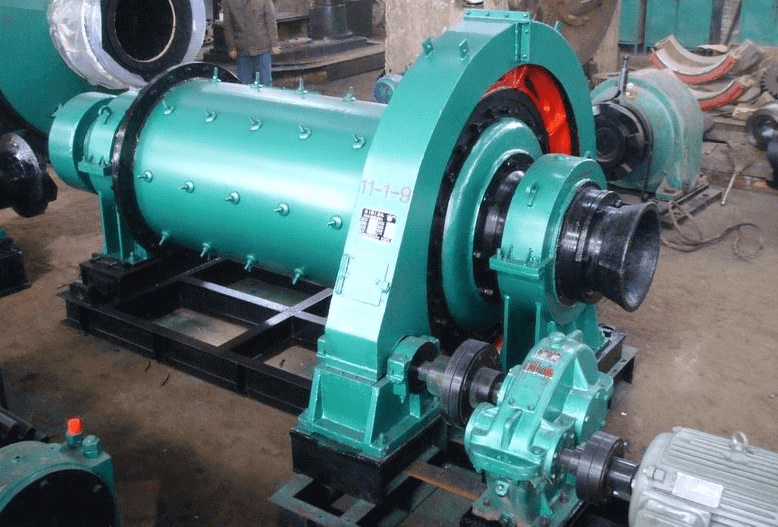 In the overflow ball mill, the ground product overflows through the discharge end trunnion. A diaphragm ball mill has a grate at the discharge end. The product flows through the slots in the grate. 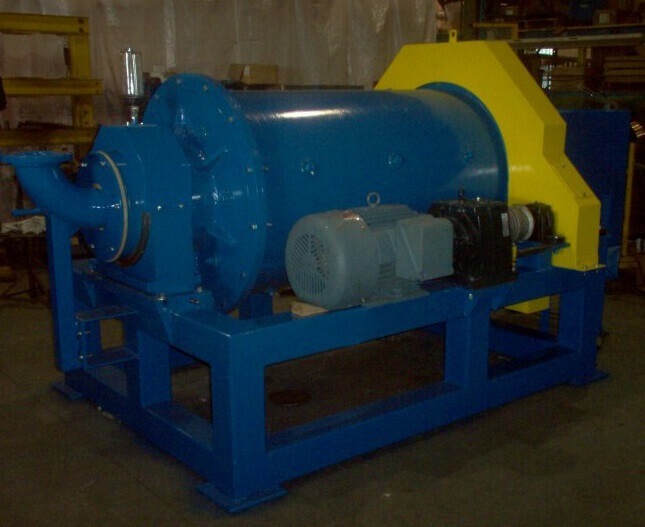 Pulp lifters may be used to discharge the product through the trunnion, or peripheral ports may be used to discharge the product. 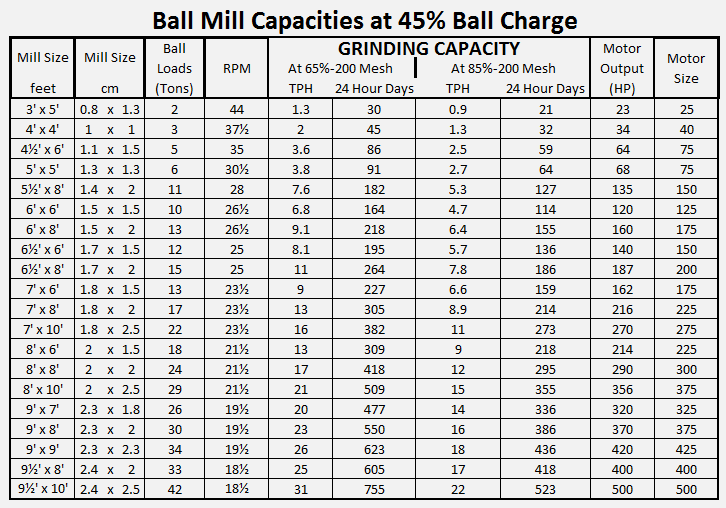 The majority of grinding balls are forged carbon or alloy steels. Generally, they are spherical, but other shapes have been used. 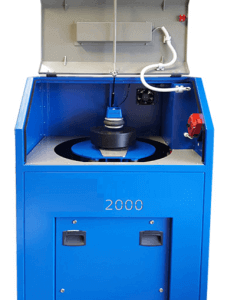 The choice of the top (or recharge) ball size can be made using empirical equations developed by Bond or Azzaroni or by using special batch-grinding tests interpreted in the content of population balance models. The effect of changes in ball size on specific selection functions has been found to be different for different materials. 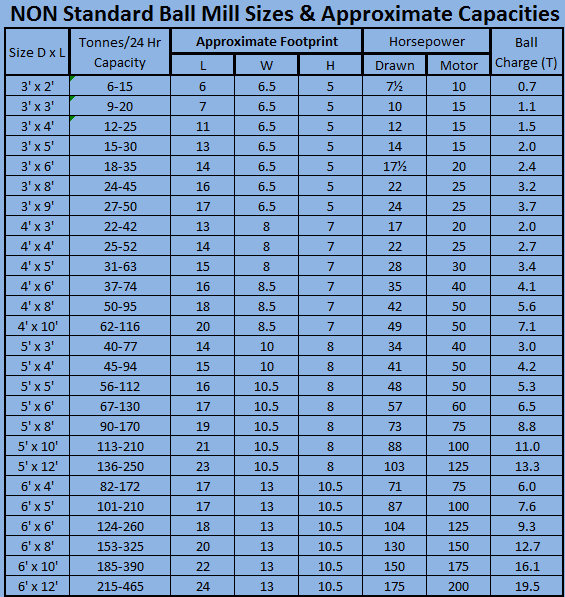 A ball size-correction method can be used along with the specific selection function scale-up method to determine the best ball size. 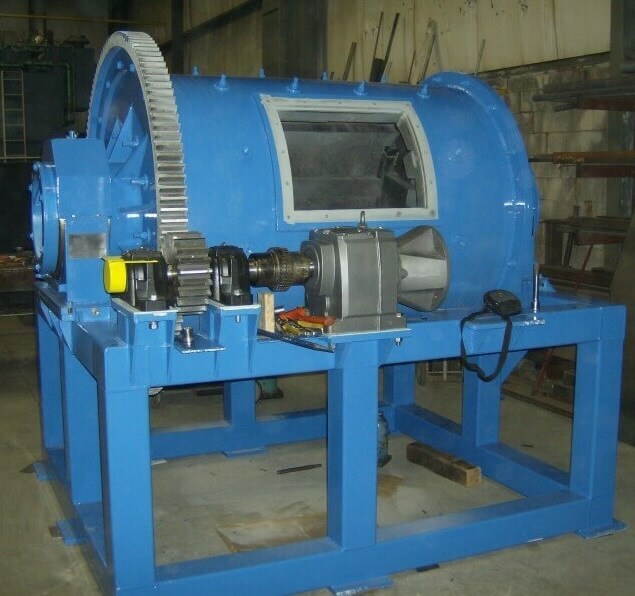 To do this, a set of “ball size tests” are performed in a batch mill from which the specific selection function dependence on ball size can be determined. 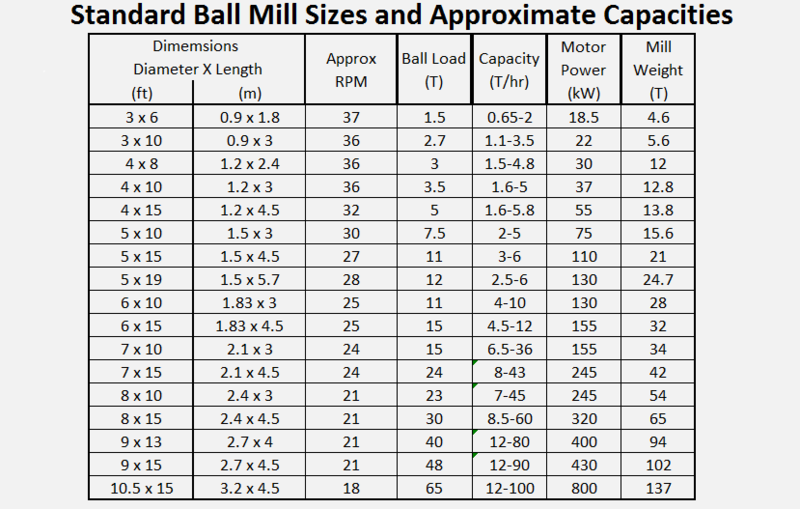 Then, the mill capacities used to produce desired product size can be predicted by simulation using the kinetic parameter corresponding to the different ball sizes. 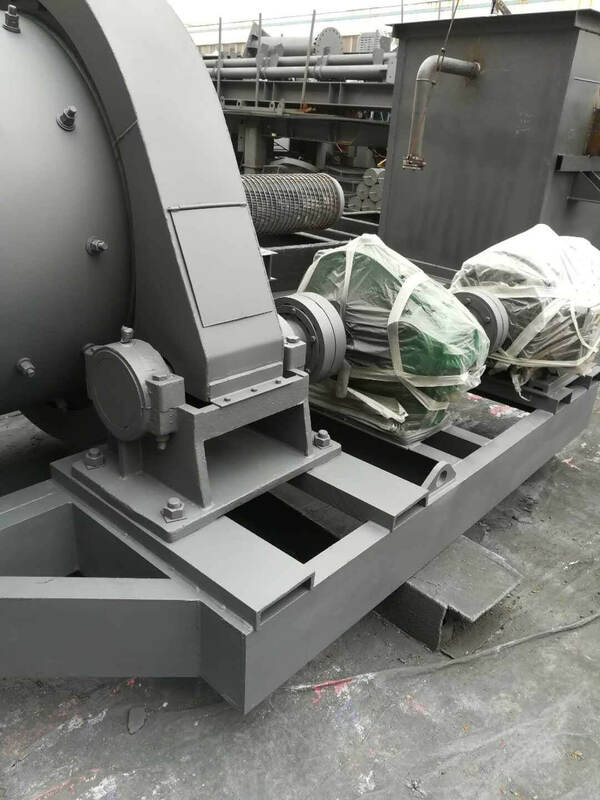 The mill liners used are constructed from cast alloy steels, wear-resistant cast irons, or polymer (rubber) and polymer metal combinations. 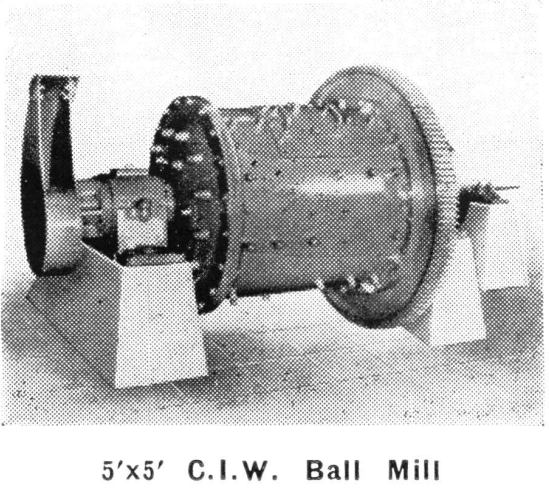 The mill liner shapes often recommended in new mills are double-wave liners when balls less than 2.5 in. are used and single-wave liners when larger balls are used. Replaceable metal lifter bars are sometimes used. 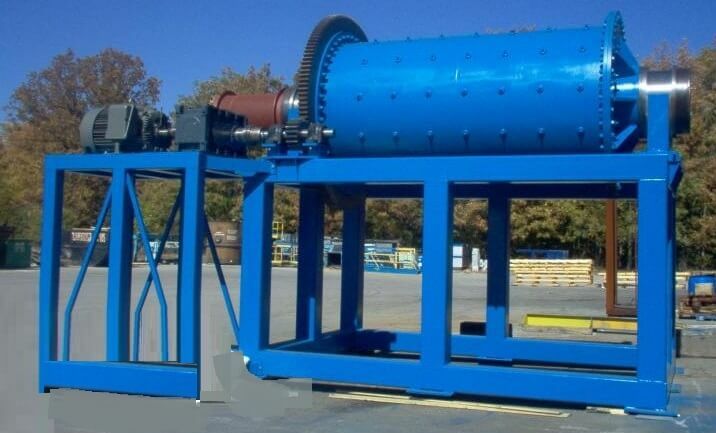 End liners are usually ribbed or employ replaceable lifters. The typical mill-motor coupling is a pinion and gear. 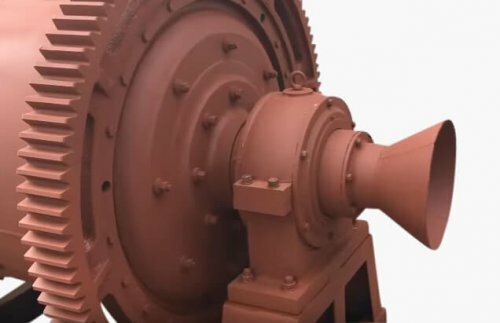 On larger mills two motors may be used, and in that arrangement two pinions drive one gear on the mill. 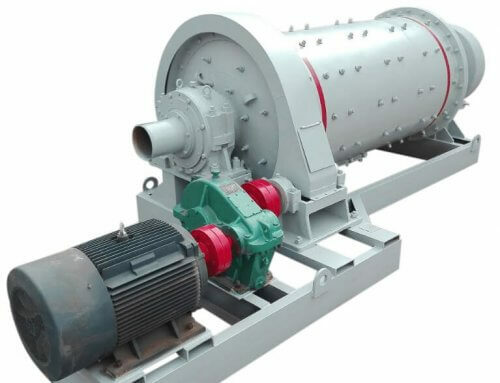 Synchronous motors are well suited to the ball mill, because the power draw is almost constant. 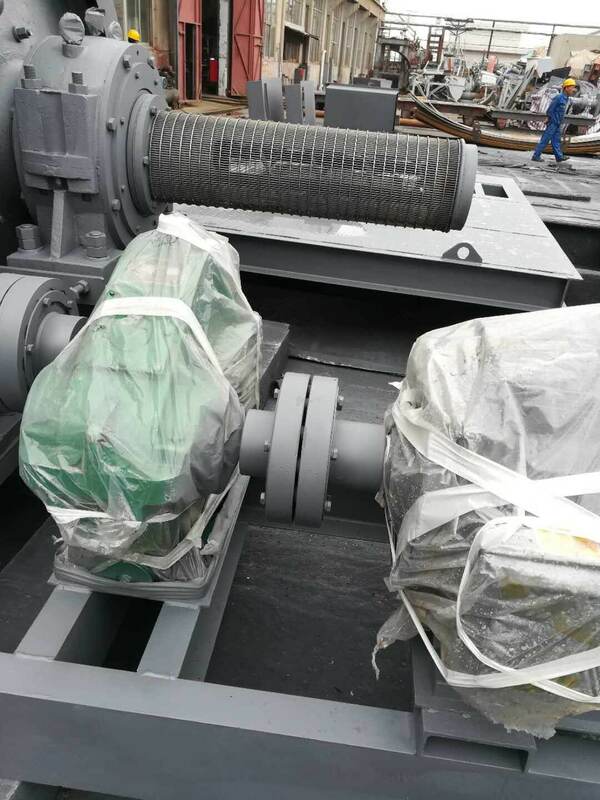 Induction, squirrel cage, and slip ring motors are also used. 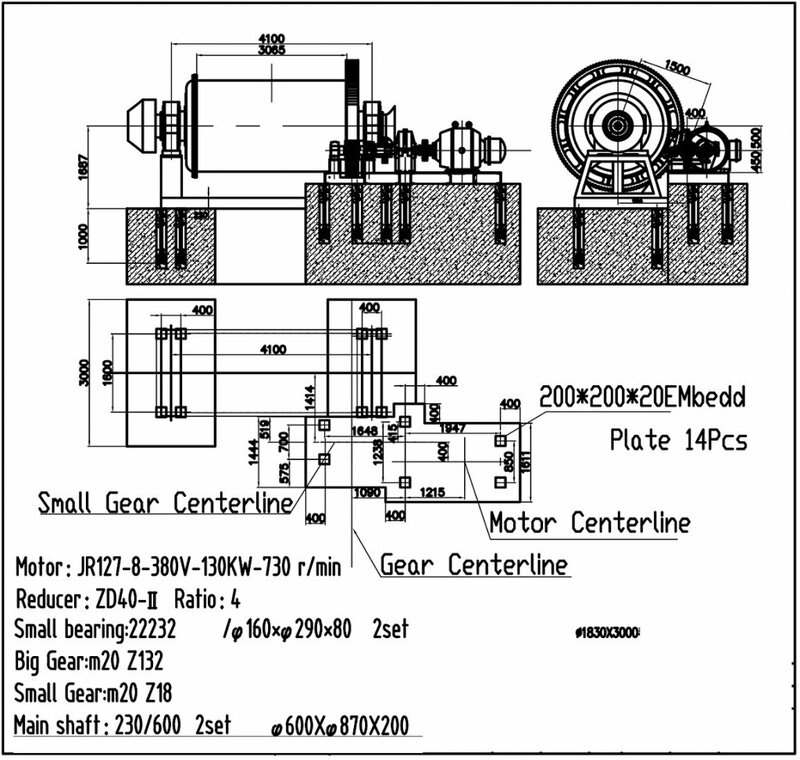 A high-speed motor running 600 to 1,000 rpm requires a speed reducer between the motor and pinion shaft. 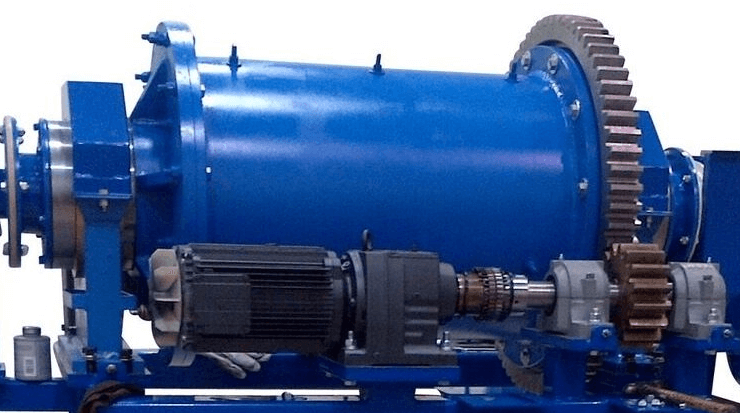 The “gearless” drive has been installed at a number of locations around the world.